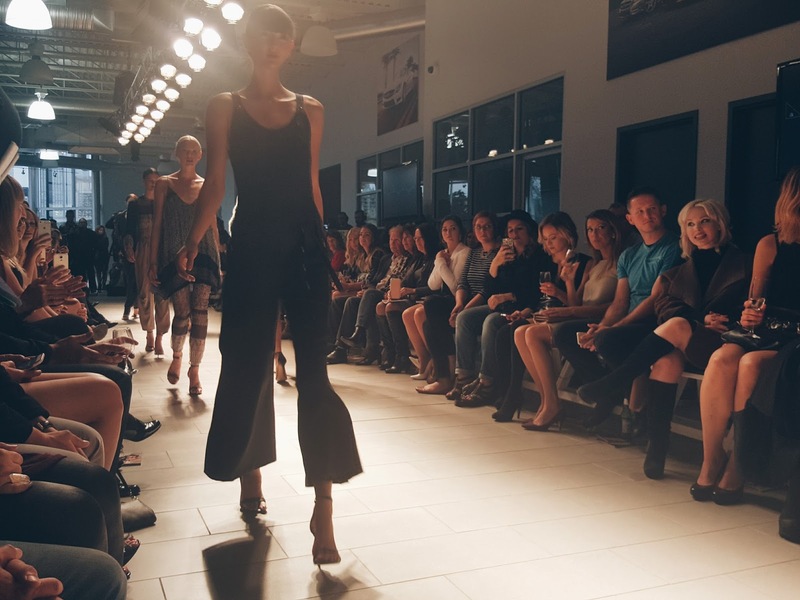 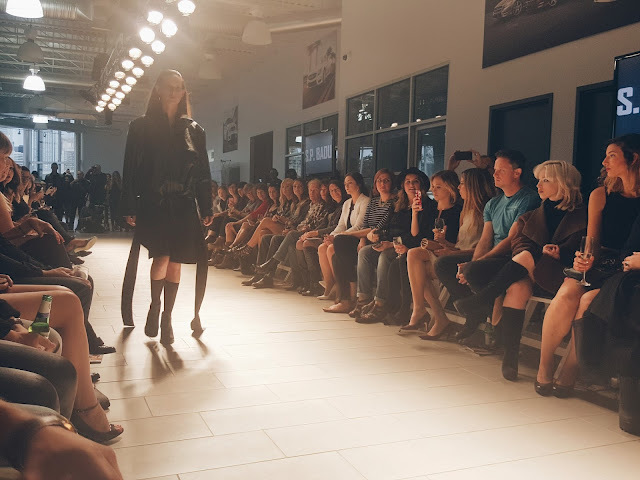 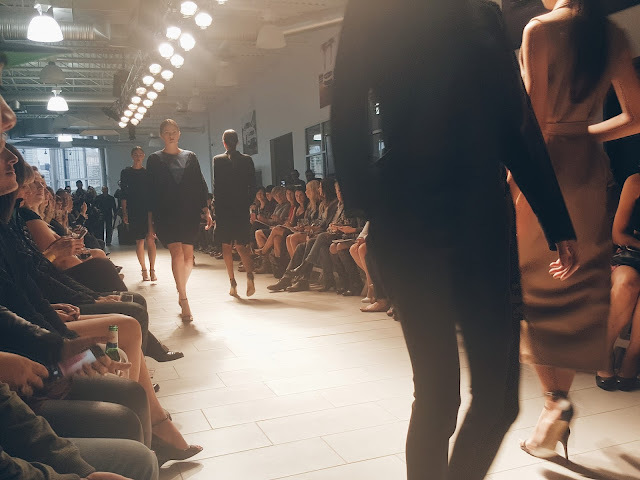 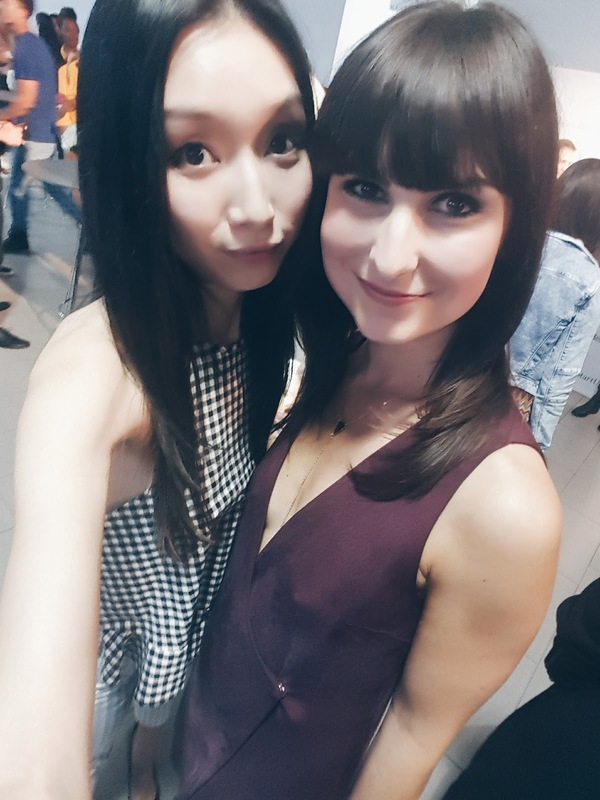 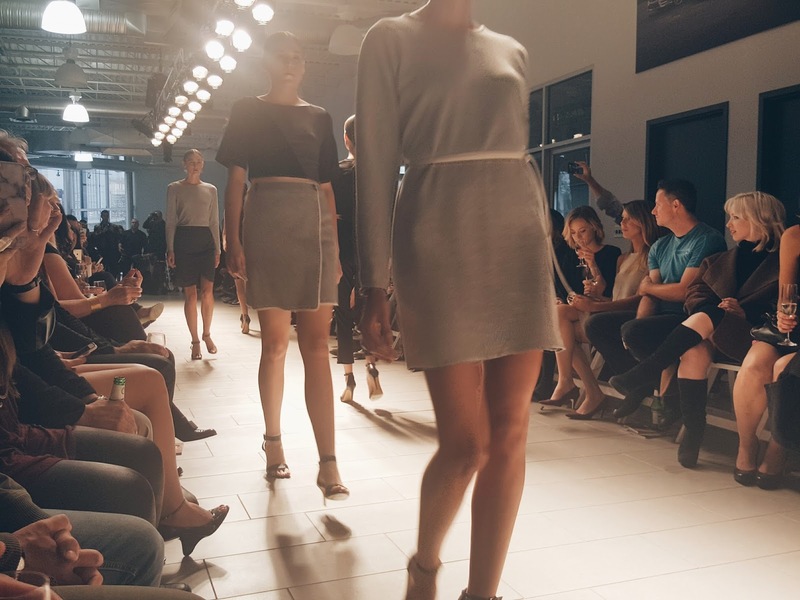 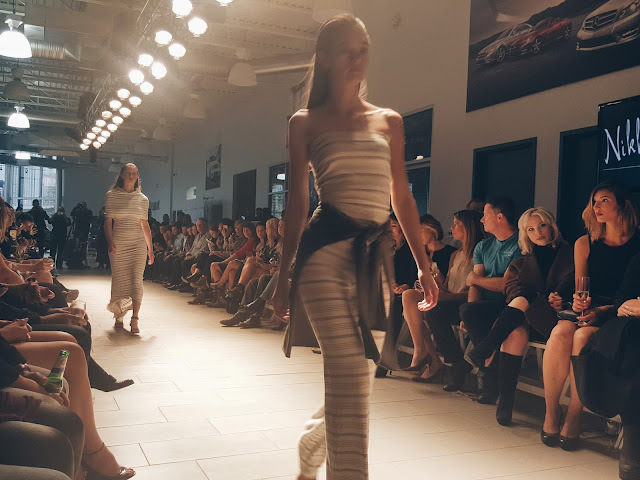 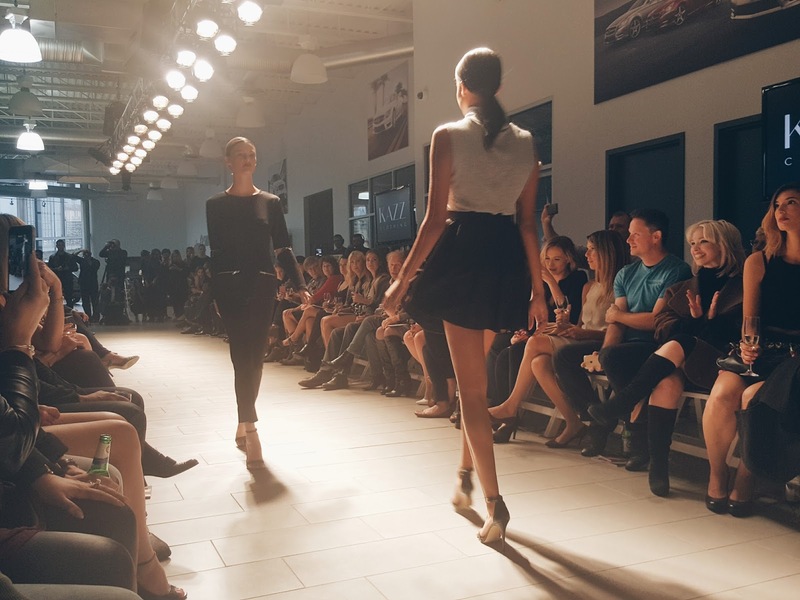 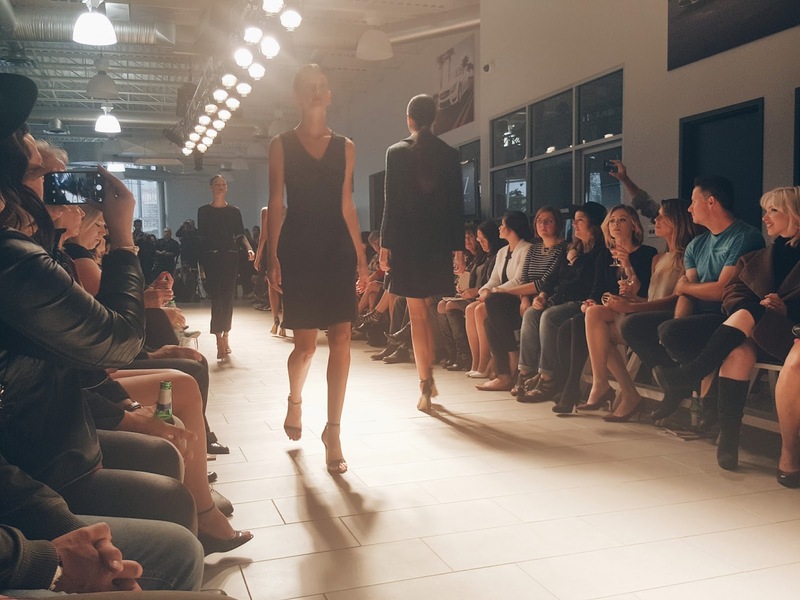 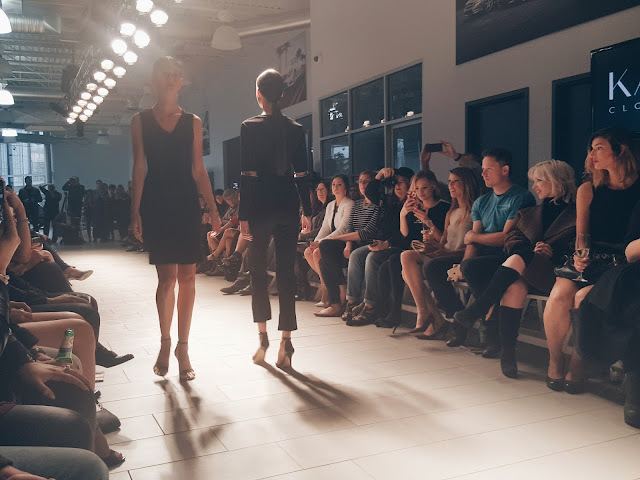 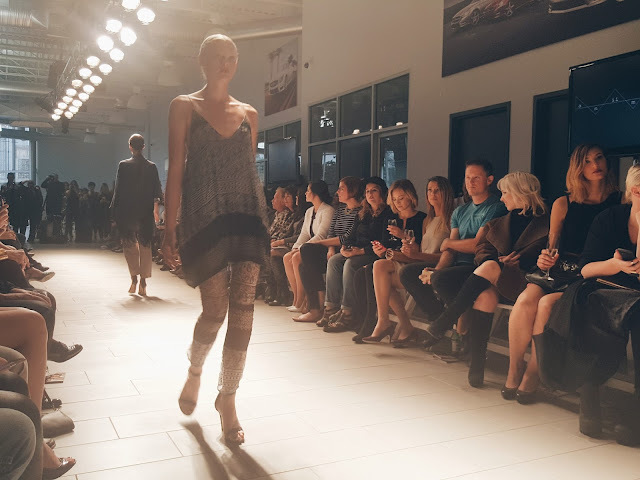 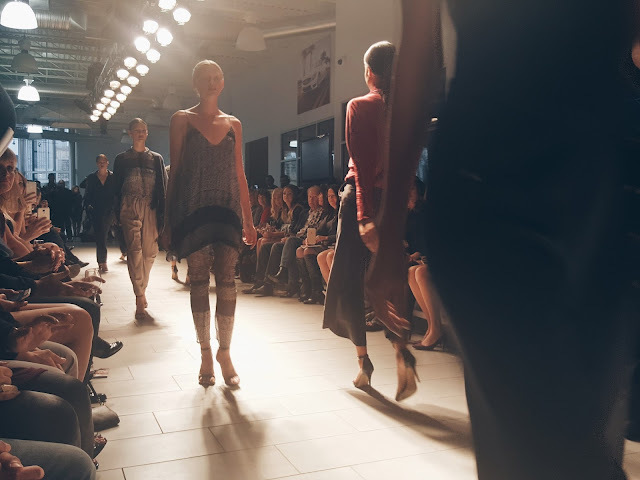 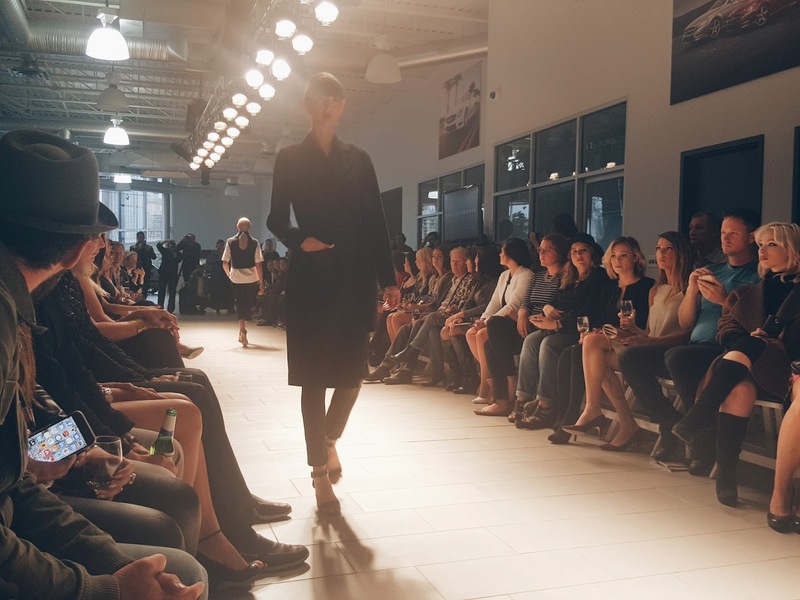 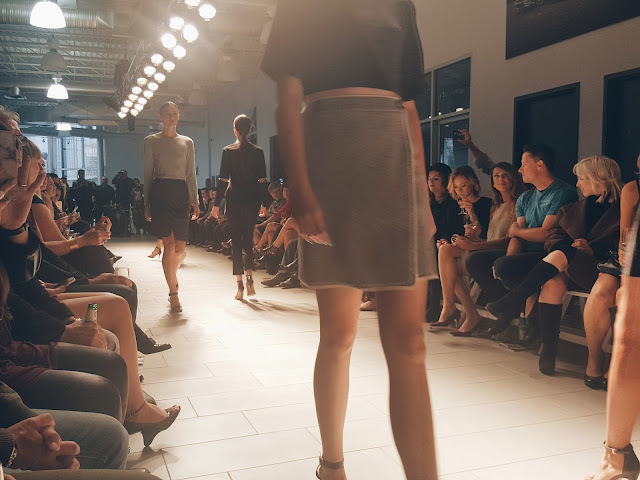 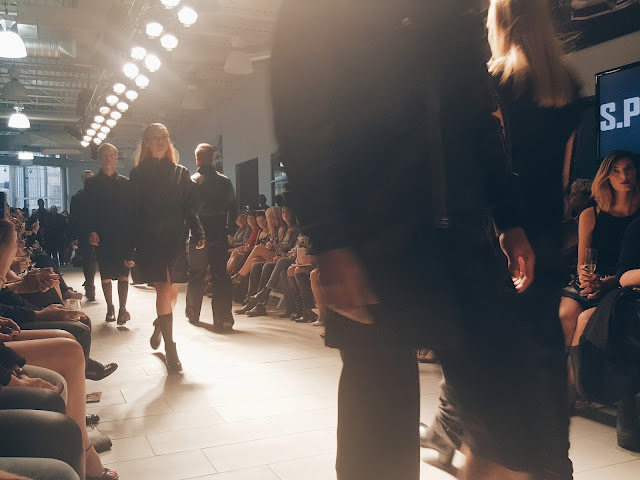 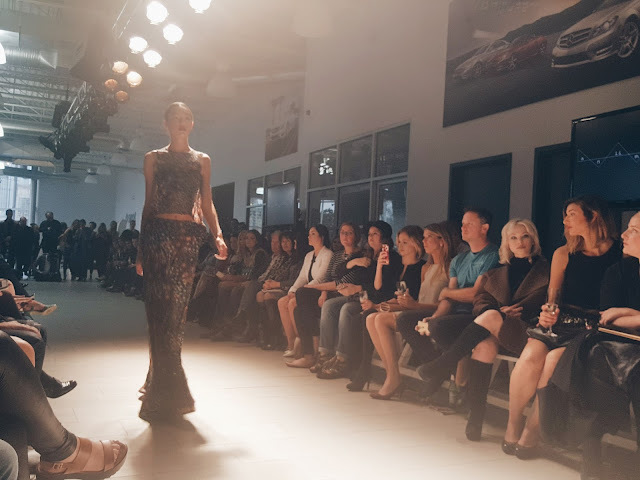 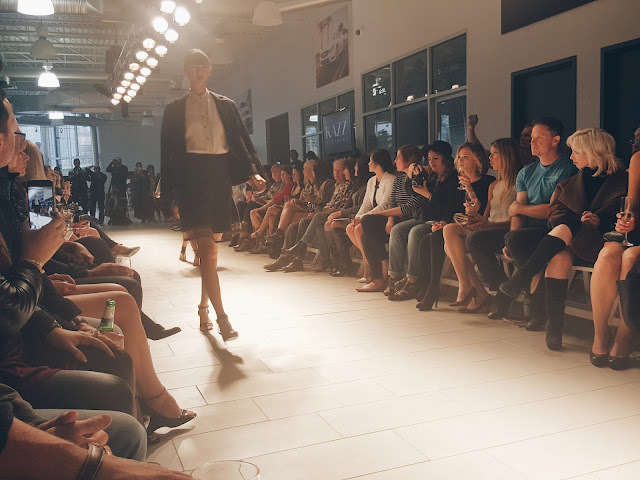 PARKLUXE 2015 brings together some of Canada's most sought after established designers, along with one of Alberta's most recognized artistic entrepreneurs. 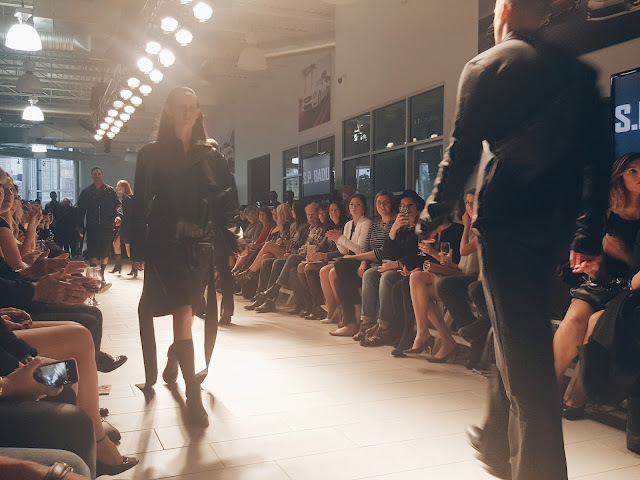 With a diverse mix of styles - from cutting edge to classic, couture to eclectic - there's going to be something for everyone's fall and winter wardrobes. 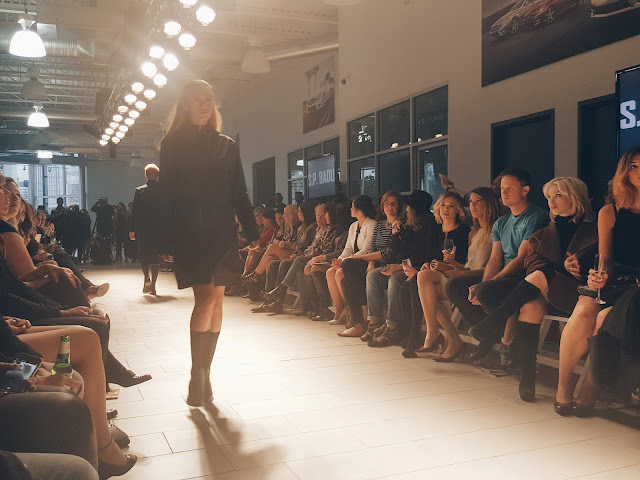 With an expanded selection of PARK Pop-Up Shops, all of these designs will be available for purchase directly off the runway, along with several other Canadian designers; Anneke Forbes, Kate Hewko, and Anne B Accessories to finish off your fall and winter wardrobes. 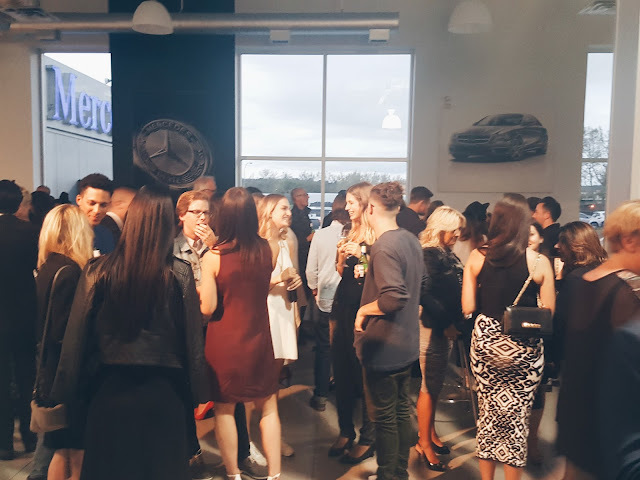 See you all on Saturday! 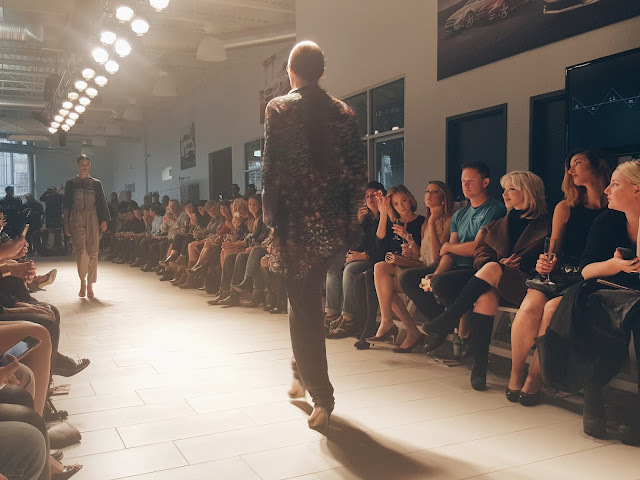 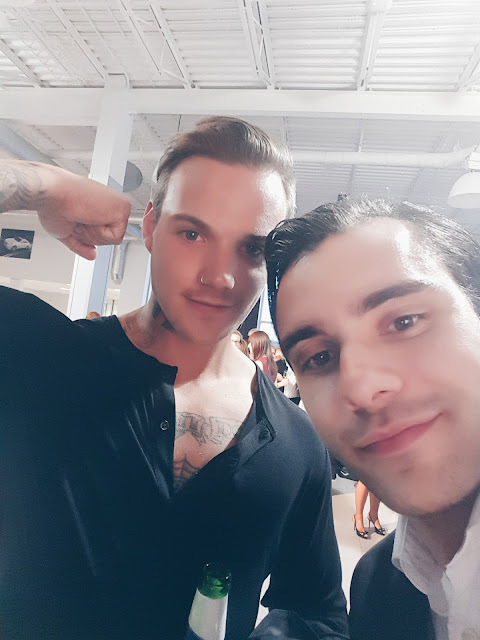 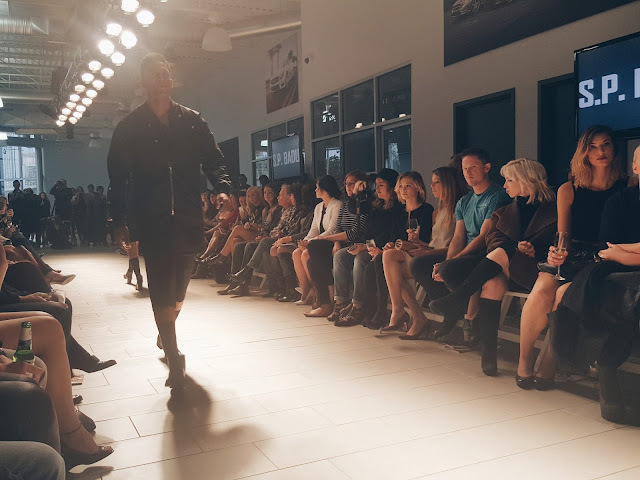 Travis Taddeo has gained a loyal following among fashion risk-takers by pushing and overcoming the conventional expectations established for Canadian fashion design. 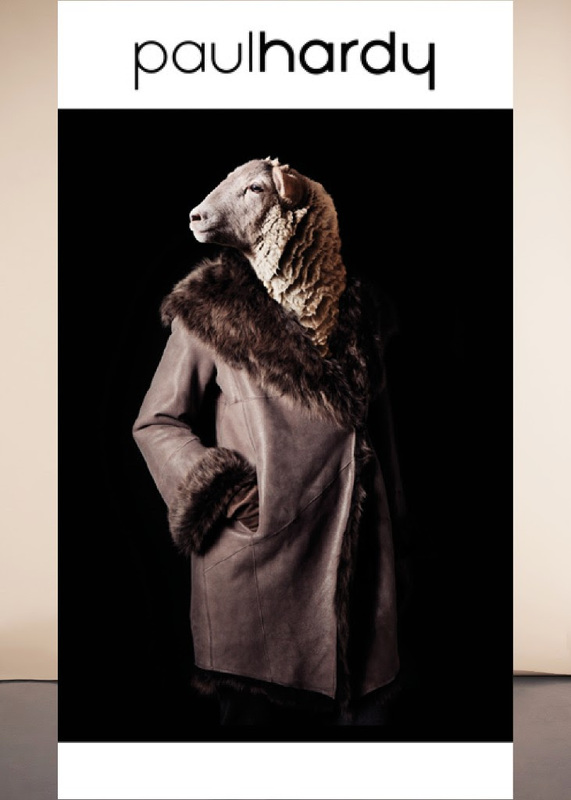 Known for his combination of minimal lines and distinctive blends of silk, jersey, leather and fur, Taddeo offers simplicity with edge by creating a bold marriage between luxury and street-wear. With experience in silver smithing, knitting, natural dyeing, embroidery, and accessory design with some of the fashion industry's top professionals, Laura Siegel's easy to wear textured pieces are aimed at women looking for comfort in their day-to-day wardrobe while continuing to seek quality and one of a kind designs. 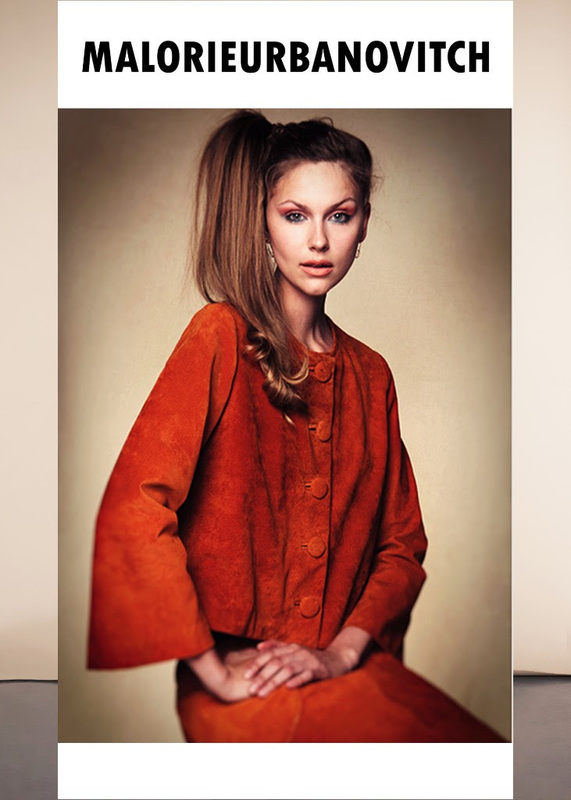 Her ethically handcrafted, easy-to-wear textured pieces are designed in collaboration with artisans in Asia and Latin America. Launched in the fall of 2008, Calgary-based House of Nonie received great acclaim from the Canadian fashion industry. 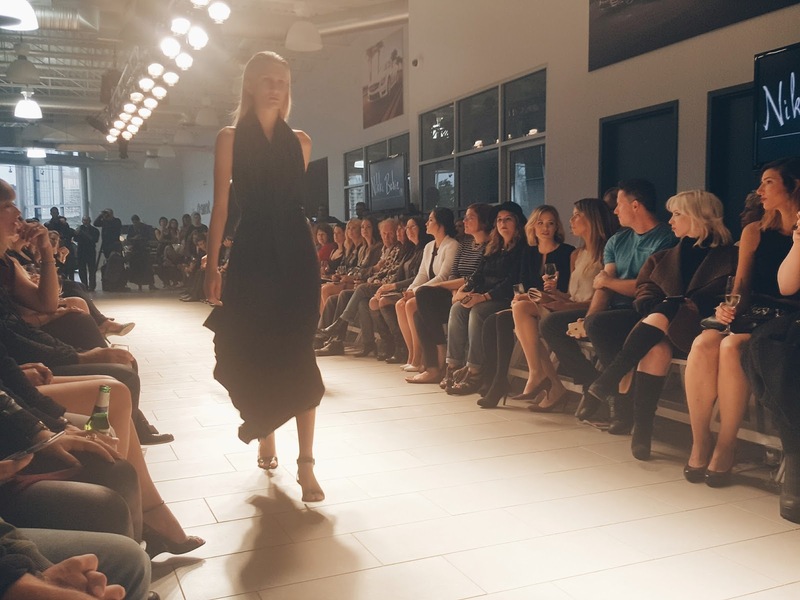 After taking a break to focus on family, House of Nonie's Nina Kharey is back with a new Autumn/Winter 2015 lineup. Inspired by the simple, clean lines of men's suitwear, and designed under the mentorship of Holt Renfrew's Fashion Director Barbara Atkin, House of Nonie brings a collection of bold and modern design to PARKLUXE 2015. Caitlin Power is a Toronto based clothing line that redefines womenswear through classic tailoring, architectural details and sharp silhouettes. 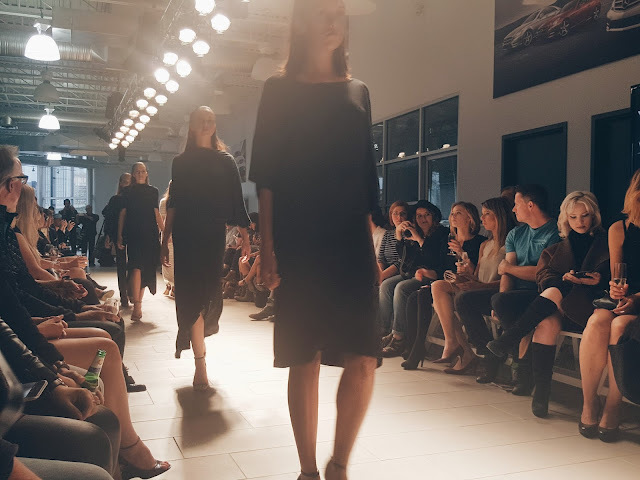 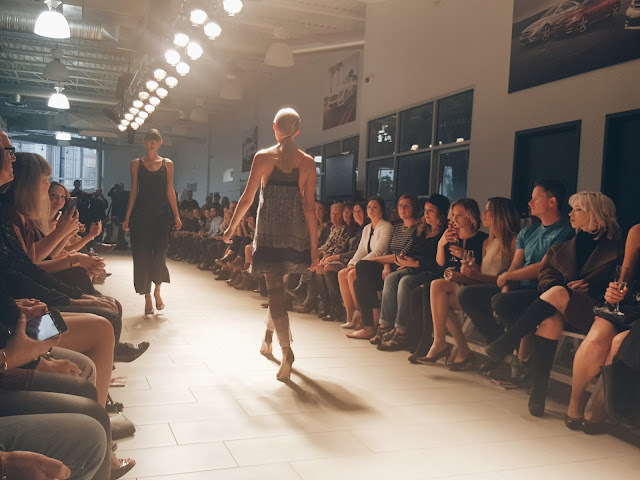 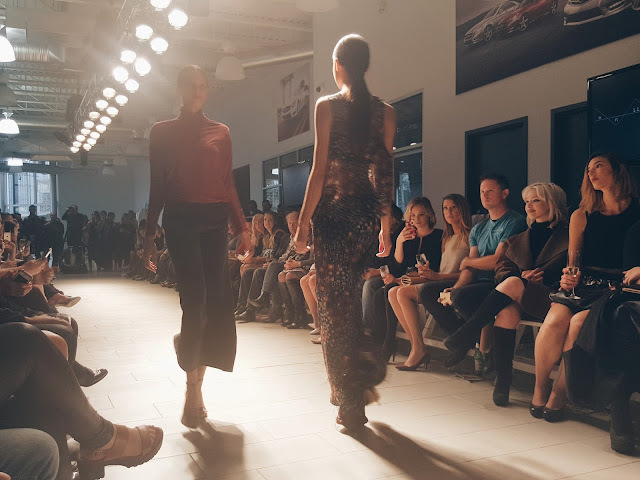 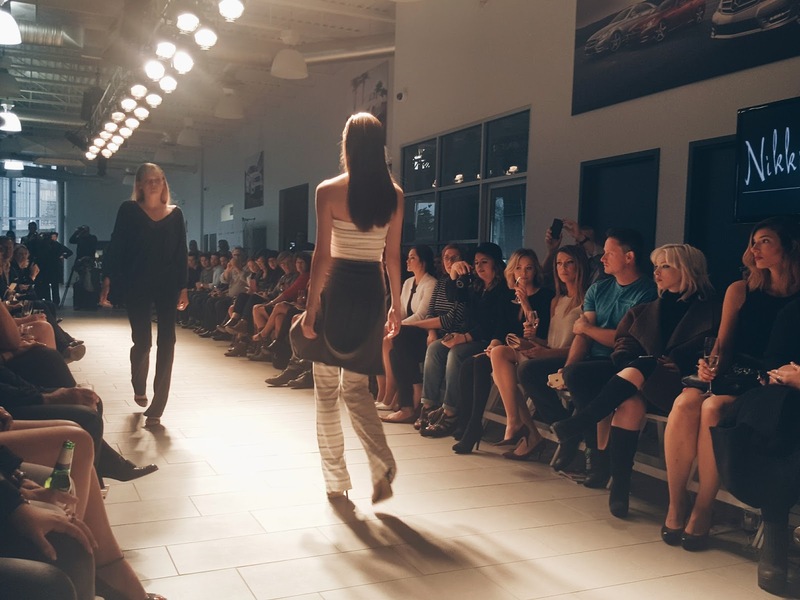 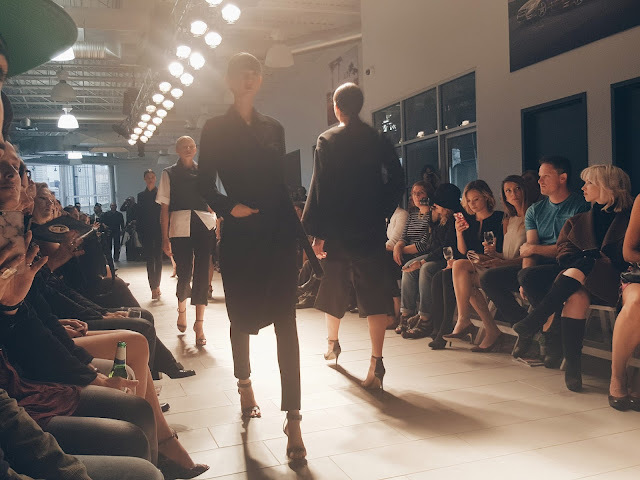 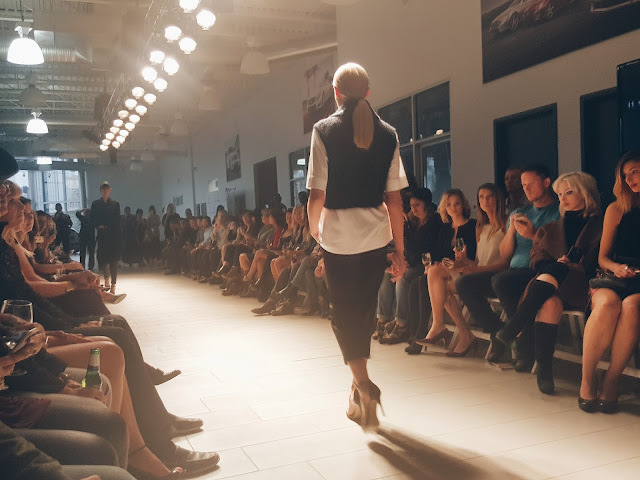 Having been featured in Elle Magazine, Flare, ETalk, and CBC, Caitlin Power is returning to her hometown of Calgary to show her new Autumn/Winter line. 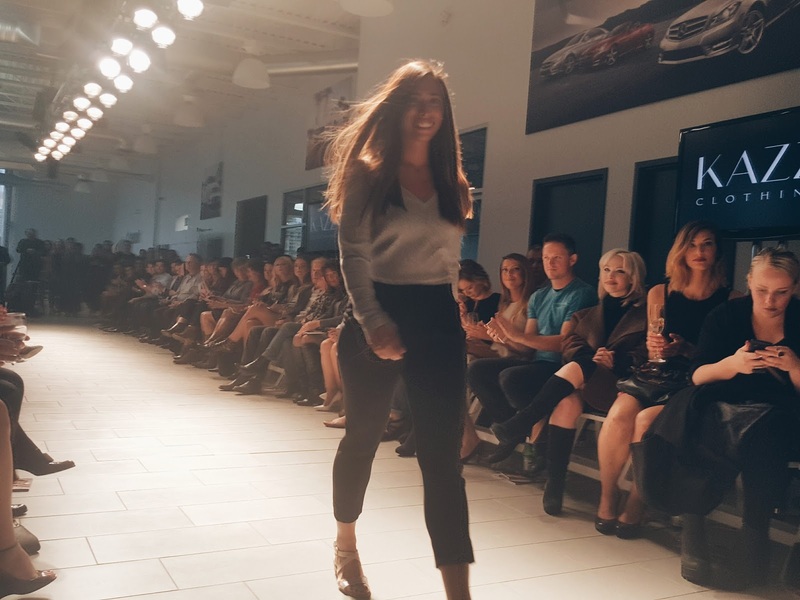 Caitlin Power takes pride in being 100% Canadian made, and striving to provide every woman with the confidence she deserves. You would never guess that the clean lines, feminine silhouettes, and playful, relaxed attitude toward clothing that defines Eliza Faulkner originated in the back room of her mother’s shoe shop in a small town on Vancouver Island. 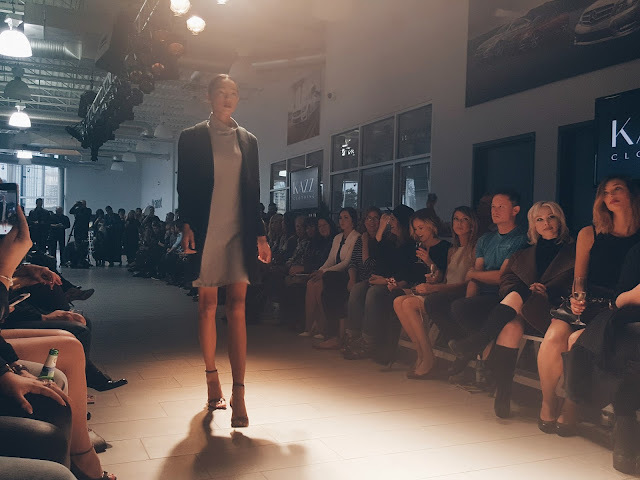 One of ELLE Canada’s “Top Ten Canadian Designers to Know”, and Canadian Art & Fashion Awards Emerging Talent nominee, Eliza Faulkner brings a unique and relaxed sense of style to PARKLUXE2015. 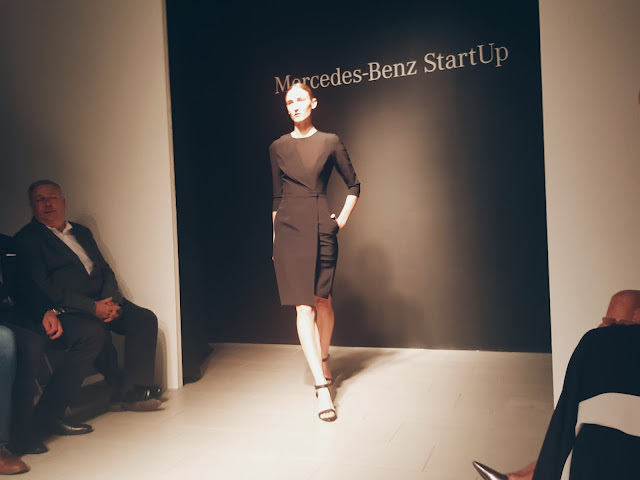 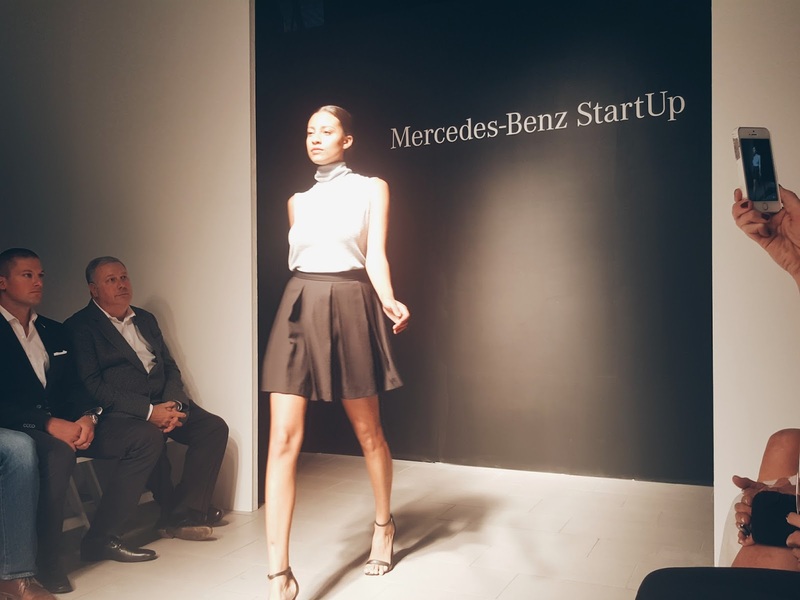 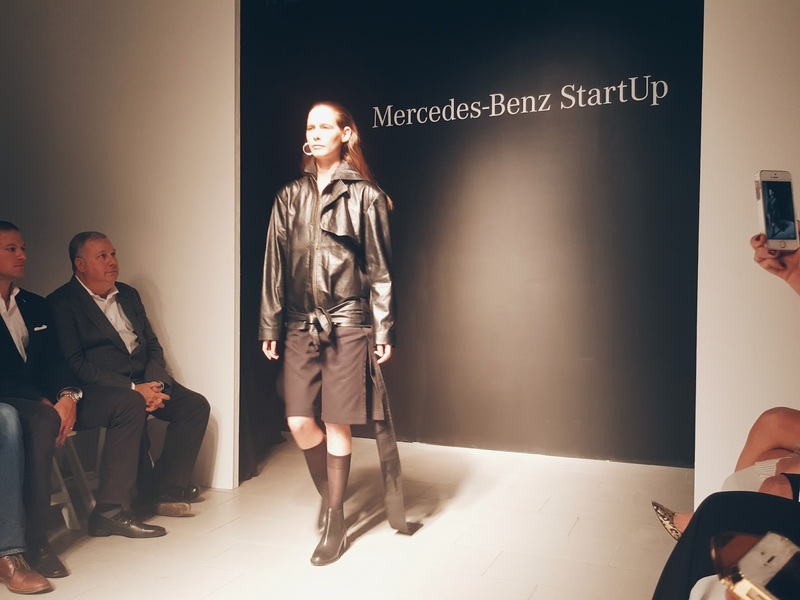 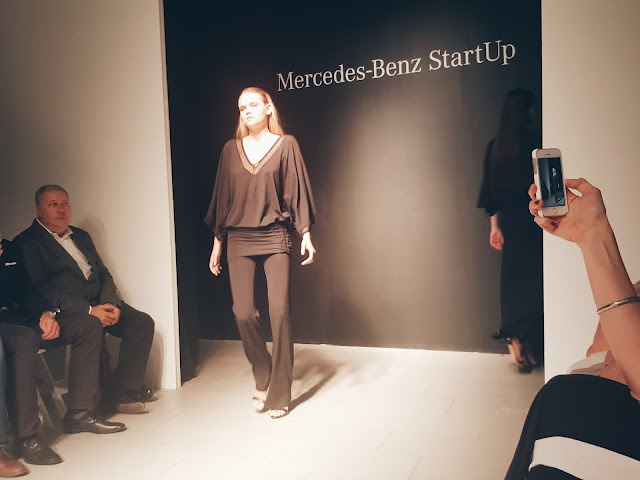 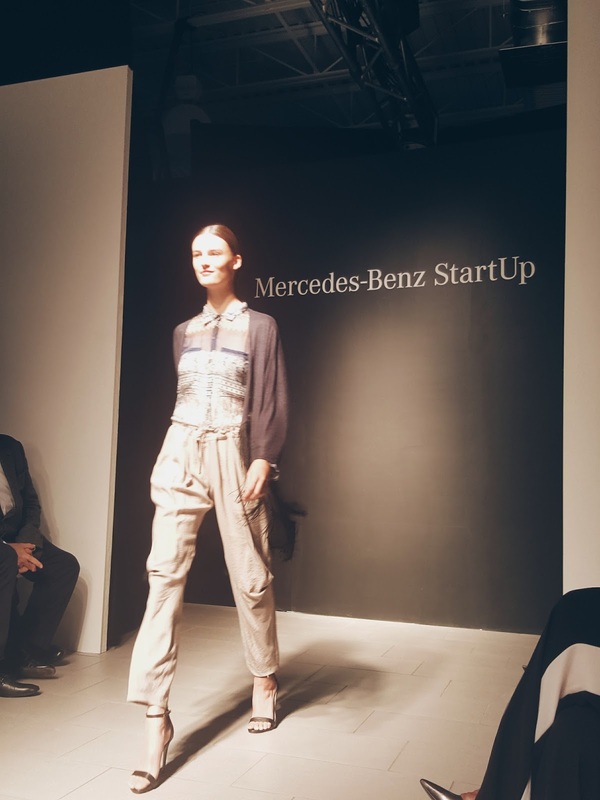 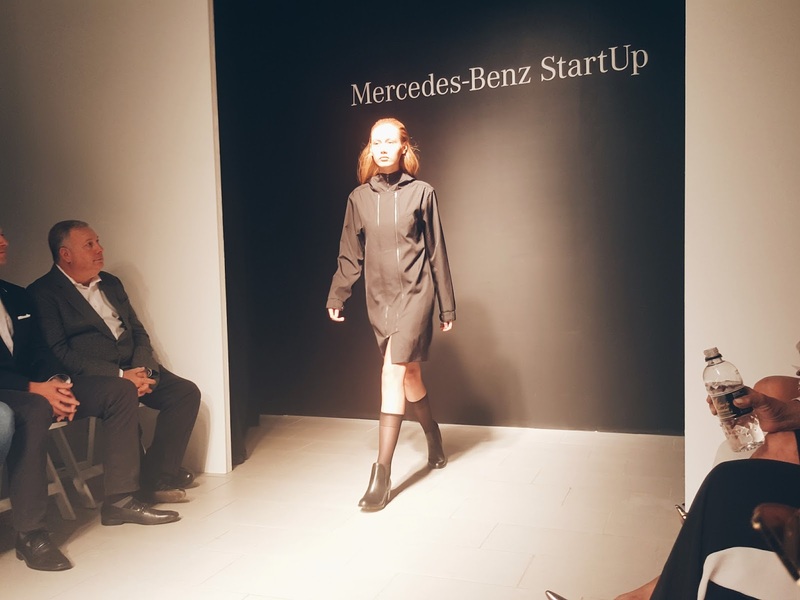 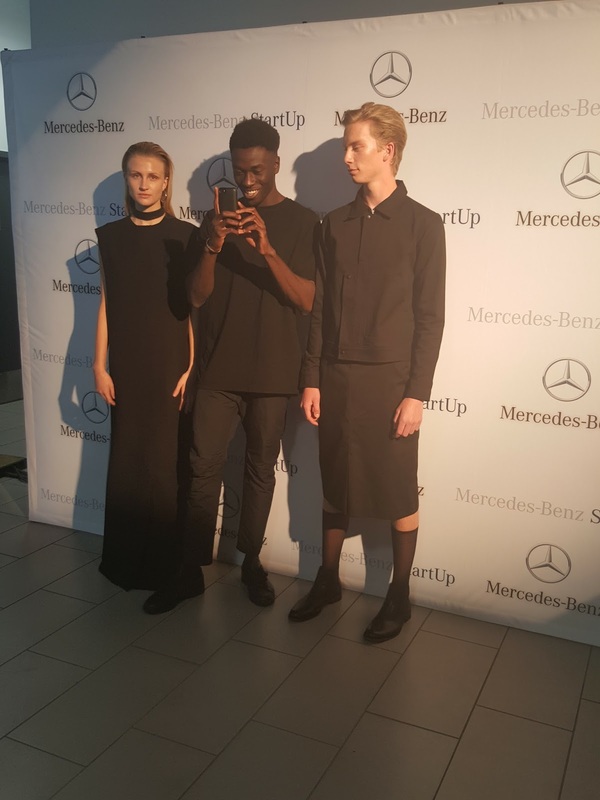 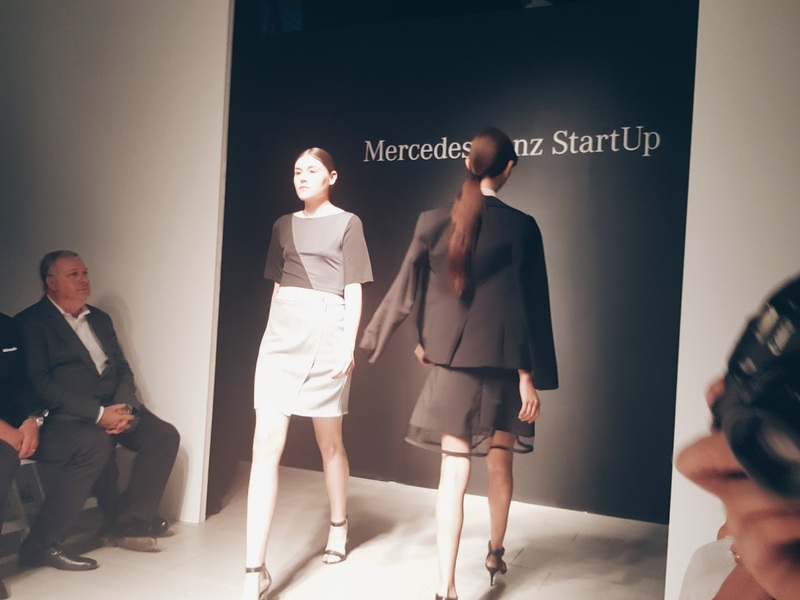 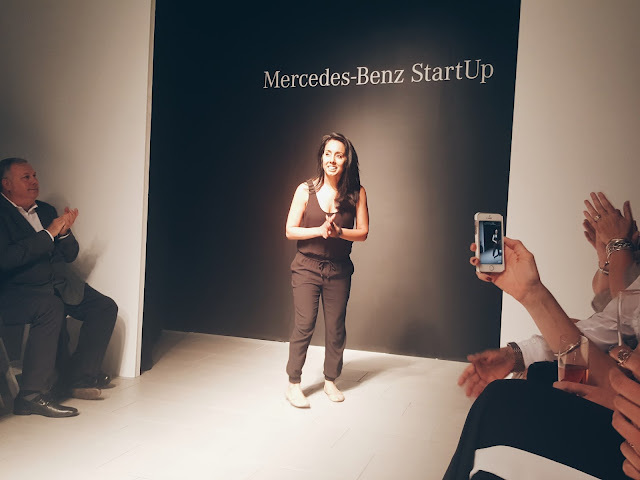 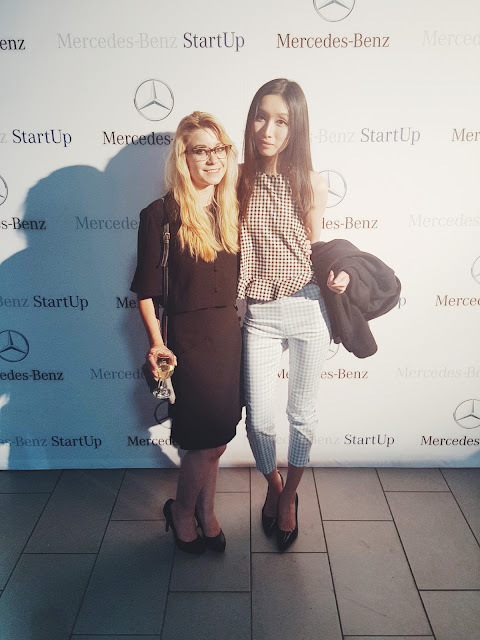 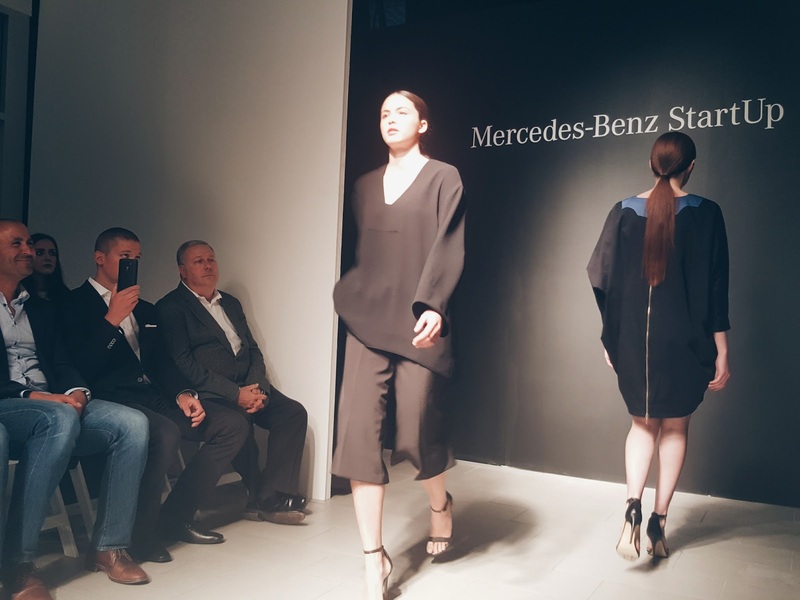 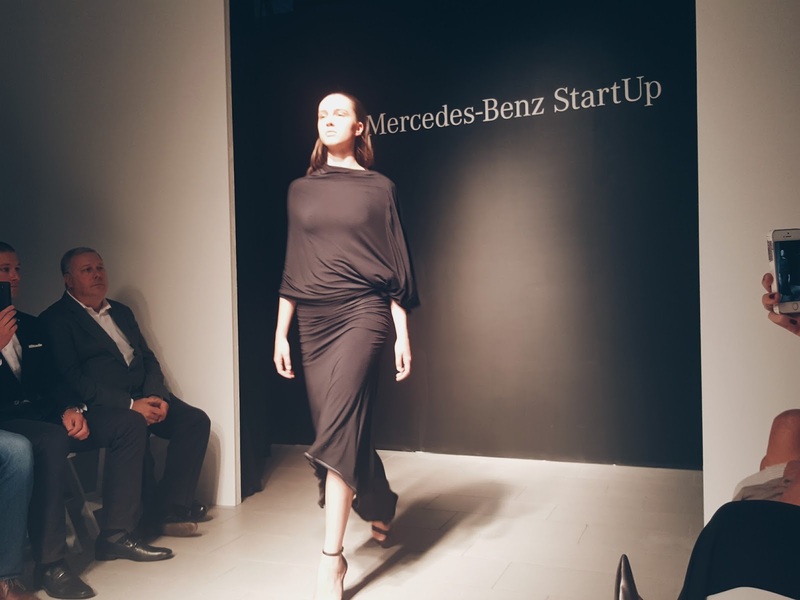 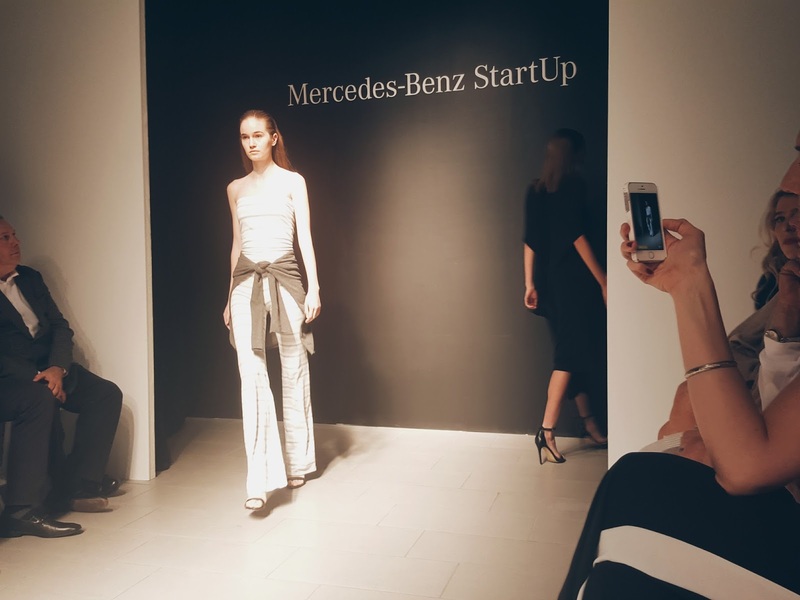 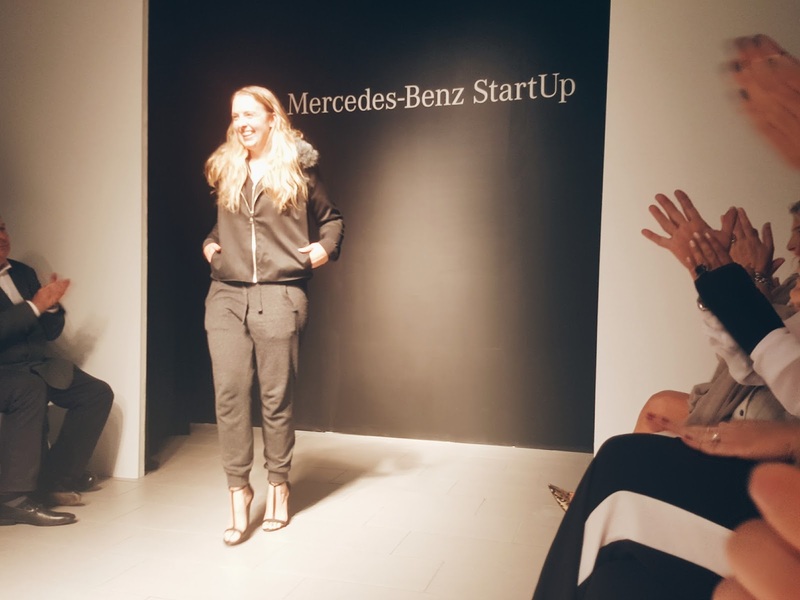 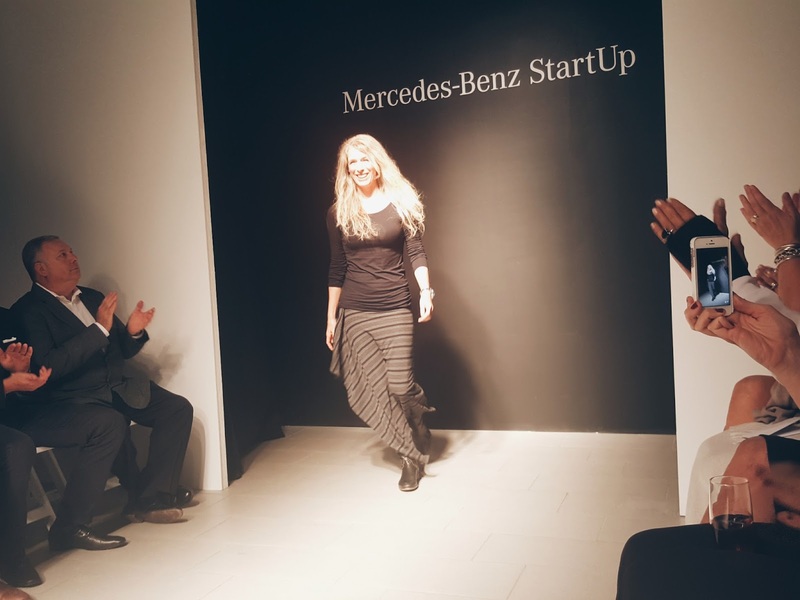 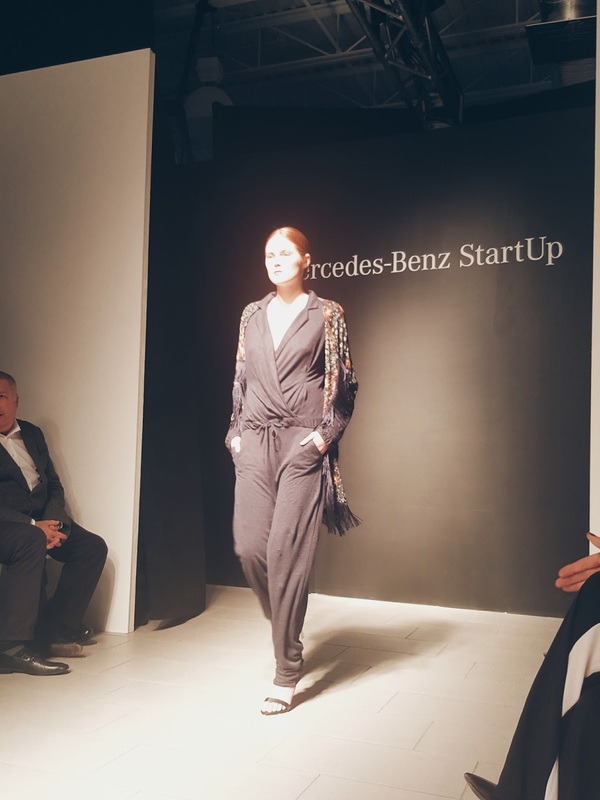 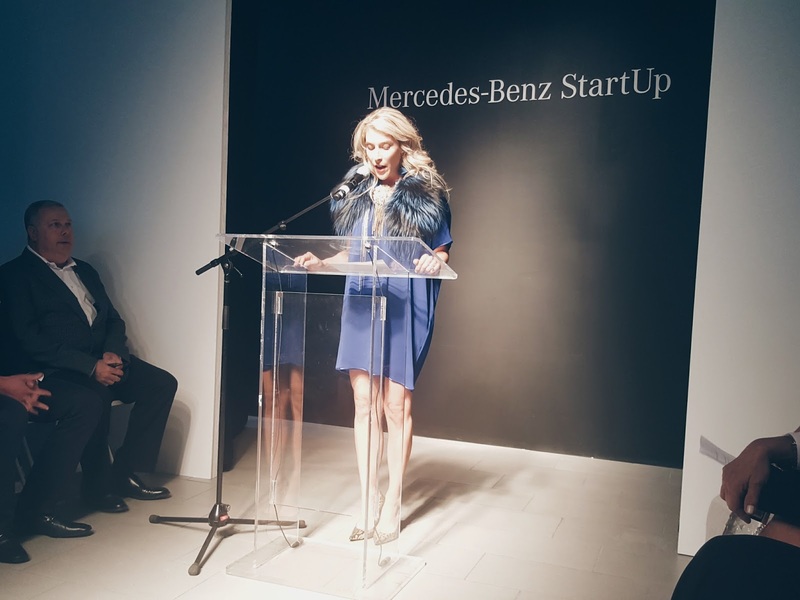 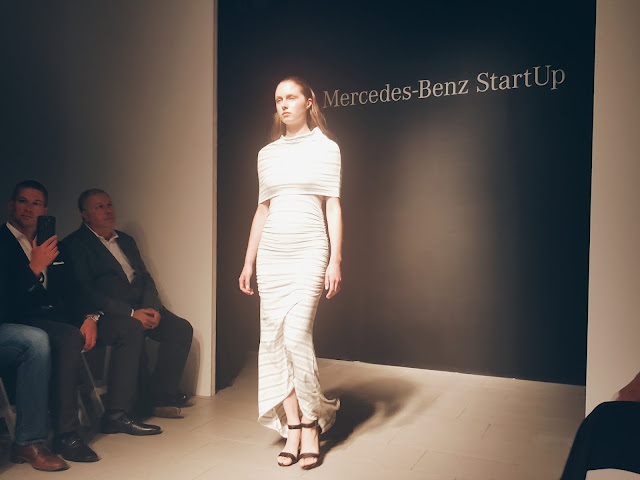 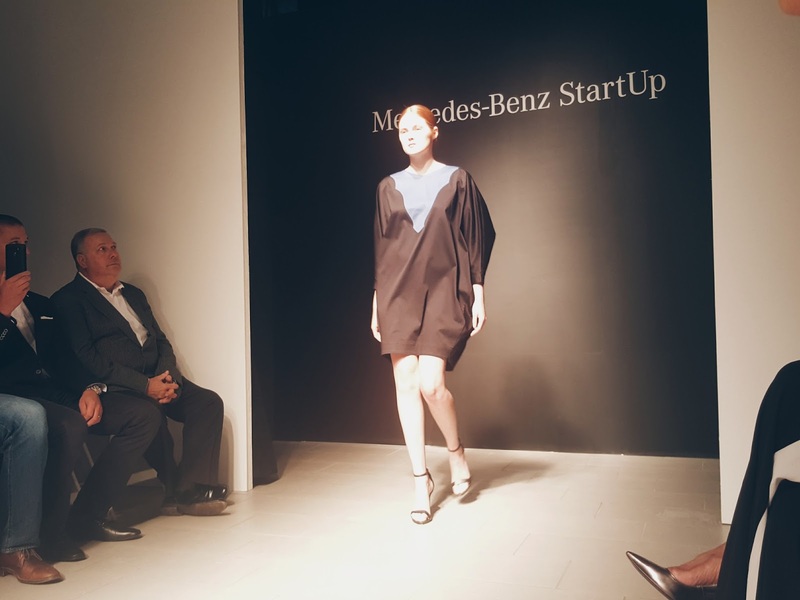 Founded in Edmonton in 2011, Malorie Urbanovitch has caught the eye of Canada's Fashion elite, winning the Fall 2014 Mercedes-Benz Start-up competition and being named "One to Watch" by multiple publications. 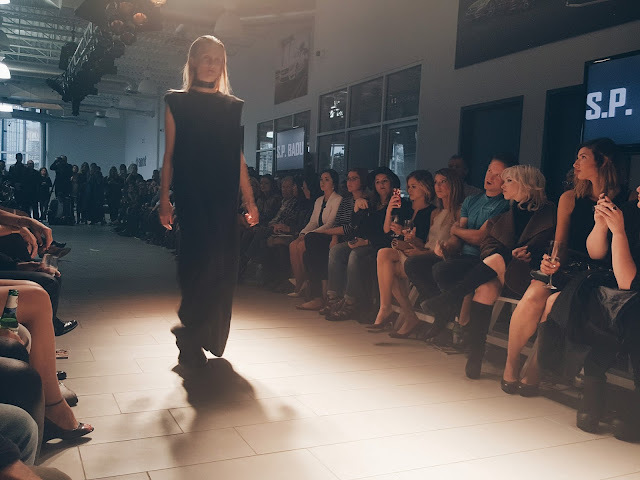 With features in FASHION Magazine, Elle Canada, British Vogue, Clin D'Oeil and V Magazine, and her focus on innovative natural fabrics, quality construction and classic silhouettes has transitioned her from humble beginnings into a nationally respected line. 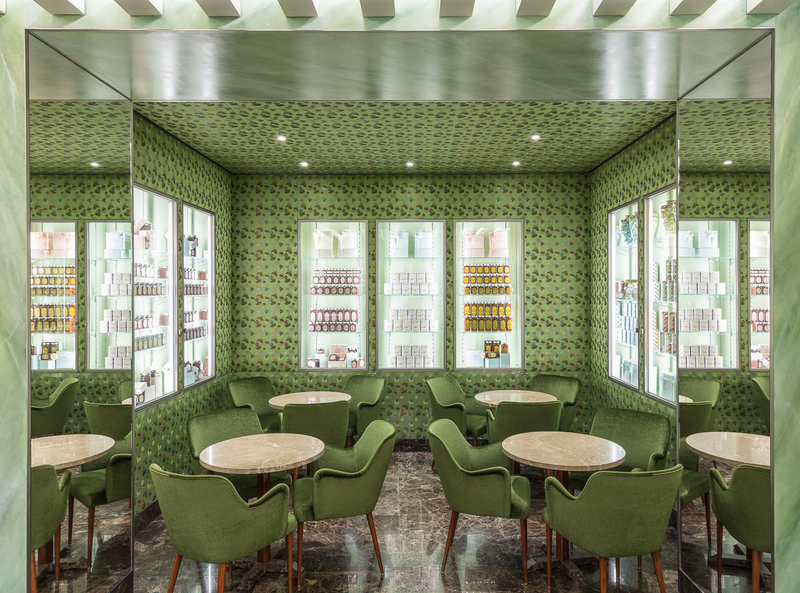 With critical acclaim pouring in since the beginning of his career in 2002, Paul Hardy has made international headlines in the design world. 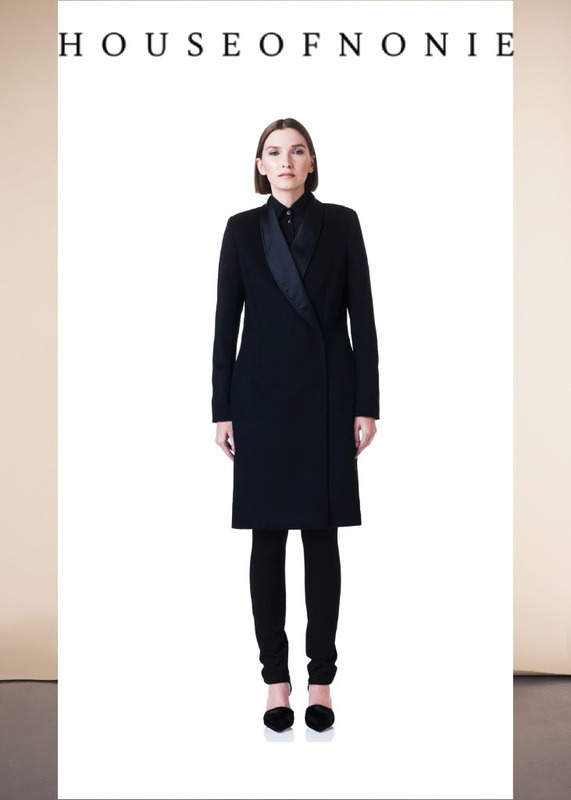 With comparisons to the likes of Marc Jacobs and Stella McCartney, Paul Hardy's work has been dubbed "Oscar worthy". 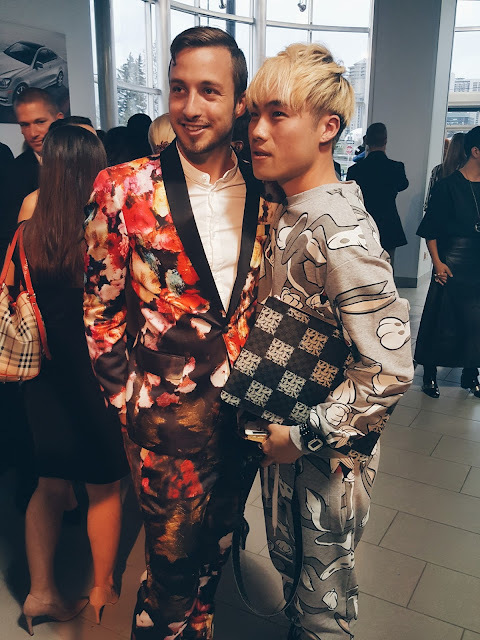 He's been the centre of conversation in fashion circles the world over; all of this and more is why we are so excited that Paul Hardy is joining us with his Autumn/Winter collection at PARKLUXE 2015. Louis Vuitton will celebrate “Volez, Voguez, Voyagez – Louis Vuitton” at the Grand Palais from 4th December 2015 till 21st February 2016. 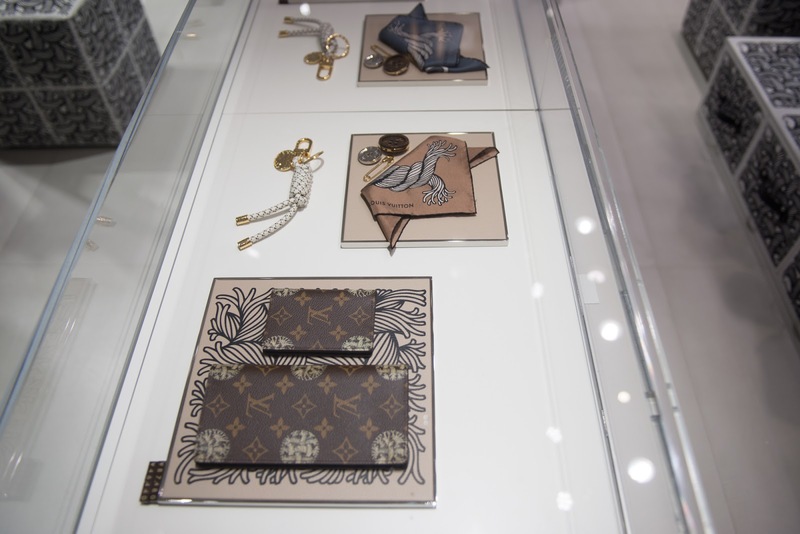 Curated by Olivier Saillard, this exhibition retraces Louis Vuitton’s great journey from 1854 till today, through depictions of the Maison’s founding members and those who create the Louis Vuitton of tomorrow. The Grand Palais was constructed in 1900 during one of the most spectacular Universal Exhibitions in Paris which welcomed 48 milllion visitors. At this turning point of the century, George Vuitton was in charge of organizing the entire section dedicated to "Travel & Leather goods". 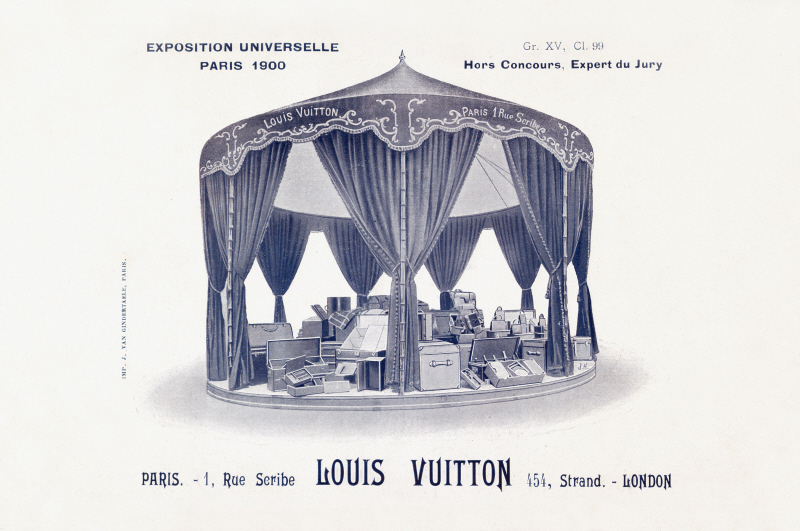 The Louis Vuitton booth, surprisingly in the shape of a merry-go-round, presented the Maison’s most innovative luggage and elegant bags and was the center of attention». 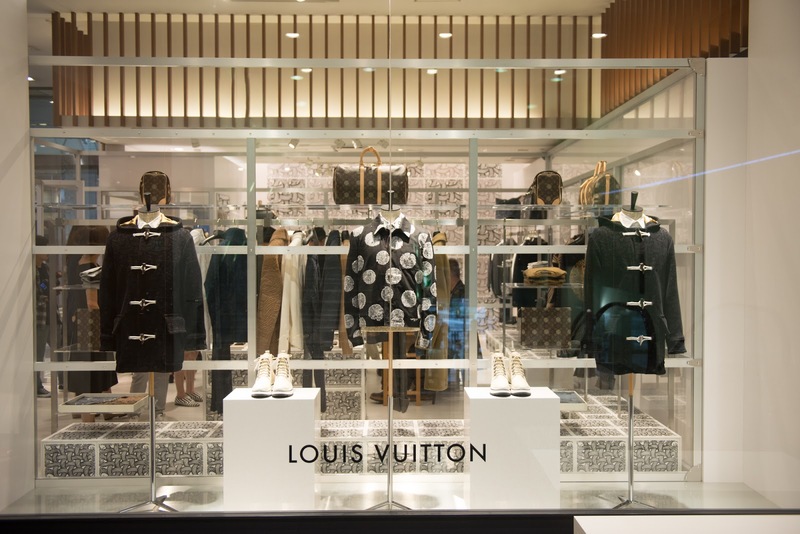 "Louis Vuitton has always been at the avant-garde of creation. More than a century after, if Louis Vuitton remains at the helm of fashion, it’s because we continuously inspire ourselves from the past while anticipating trends of our times. For this exhibition, Olivier Saillard has immersed himself in the archives of our Maison to decode its secrets. 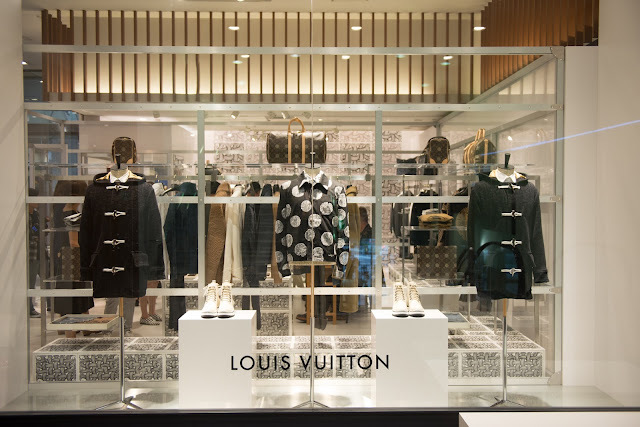 He delivers a fresh vision of our past, present and future", says Michael Burke, CEO of Louis Vuitton. 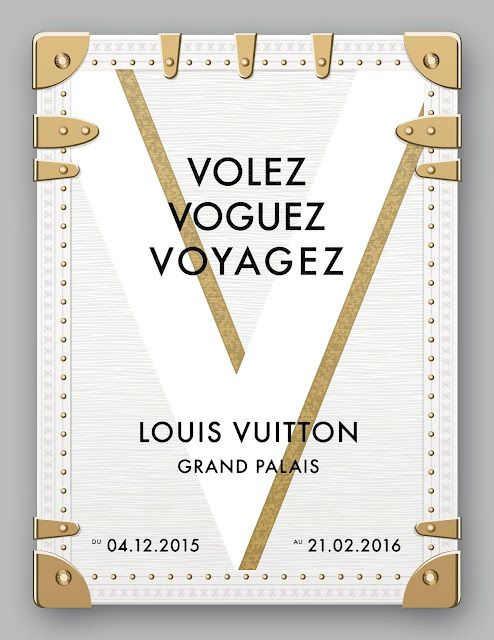 The thematic journey conceived and designed by Robert Carsen navigates through 9 chapters, opening with the absolute symbol of Louis Vuitton: an antique malle. An innately modern design, it foresaw what were to become the Maison’s emblematic codes and epitomised Louis Vuitton’s audacious spirit. The exhibition presents objects and documents from Louis Vuitton’s Patrimony as well as a selection of pieces lent by Palais Galliera, Musée de la Mode de la Ville de Paris. 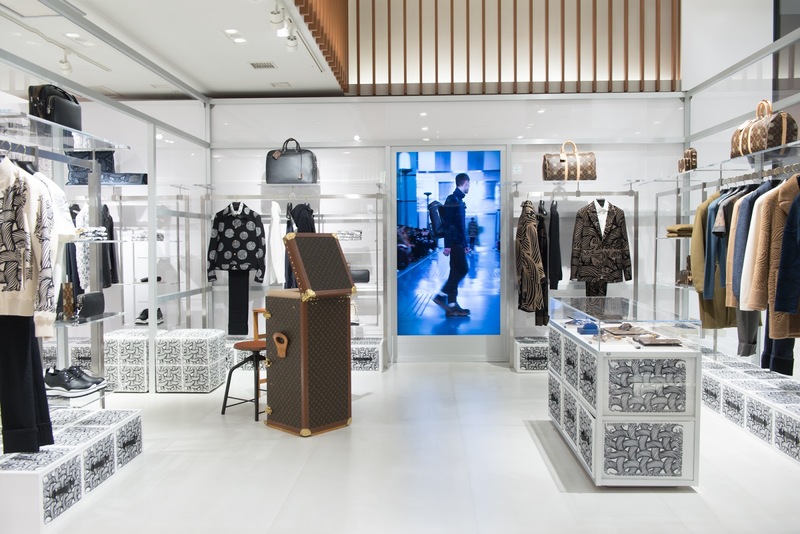 Louis Vuitton opened a Pop-Up shop dedicated to the Men’s Collection – for the first time ever – on the 1st floor of the Isetan Shinjuku Men’s Store from August 26th to September 15th. 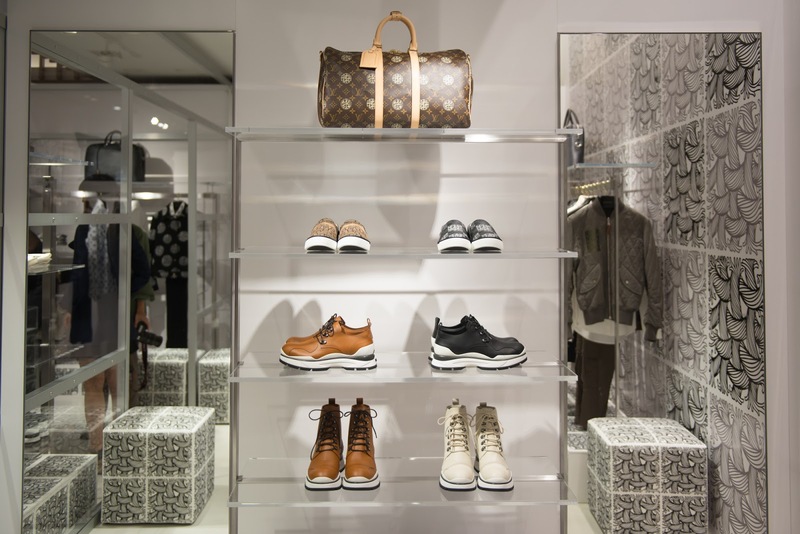 The store showcased a wide variety of practical products including the brand’s ready-to-wear items, leather goods, textiles and accessories. 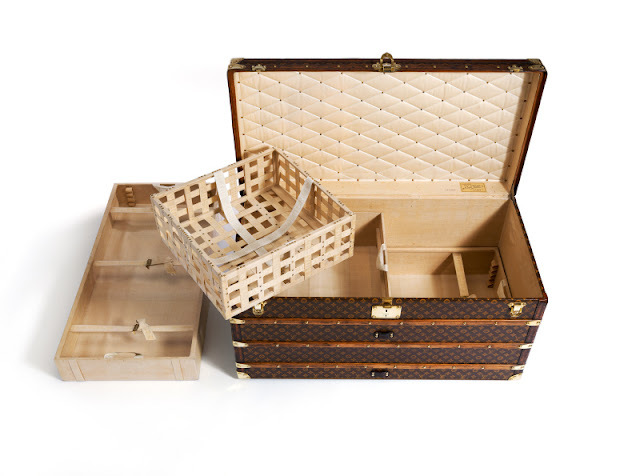 The Monogram canvas printed with Nemeth’s rope design is a worldwide exclusive, no other store carries it anywhere else. 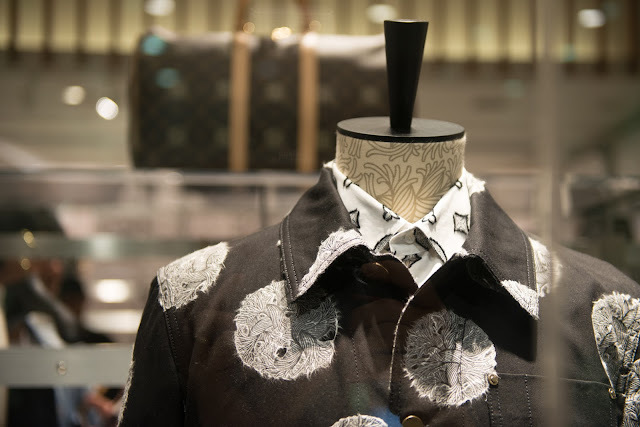 Louis Vuitton Men’s Artistic Director Kim Jones was for many years influenced by Christopher Nemeth, who was a pioneer of the free-thinking style of deconstruction. 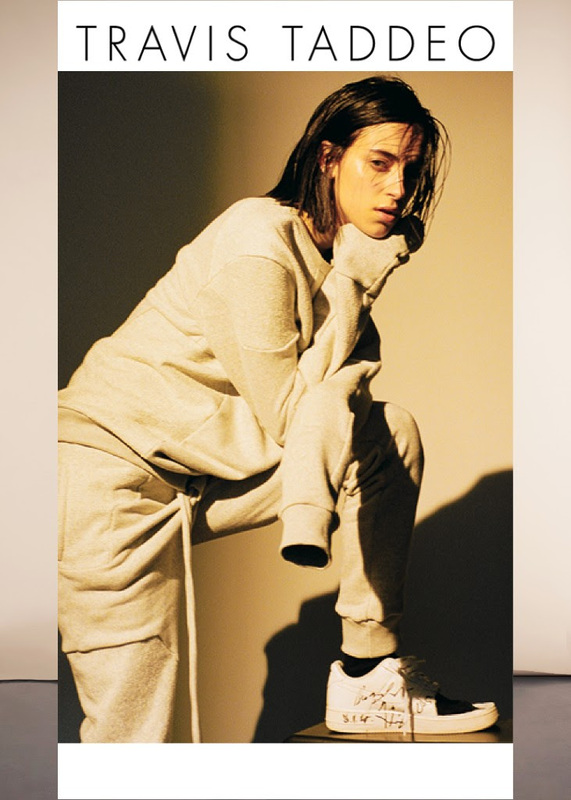 Jones’ tribute through the 2015 – 16 fall/ Winter Collection comes 5 years after the artist’s passing. 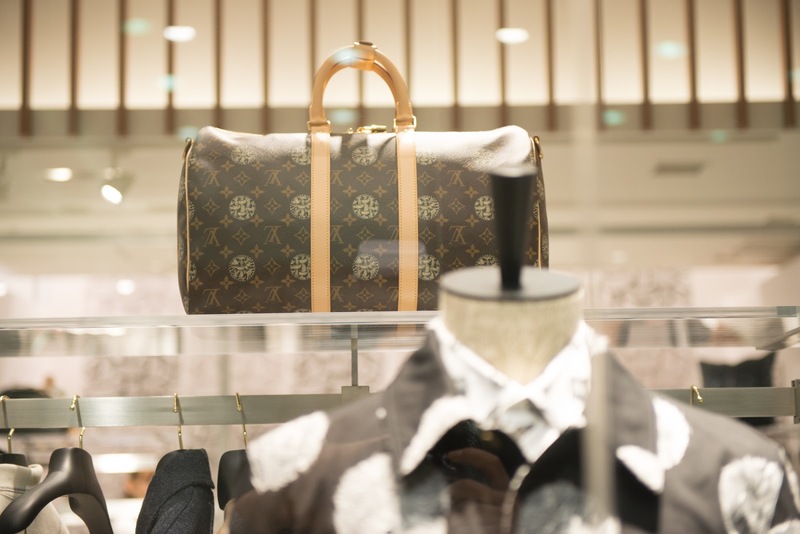 Christopher Nemeth moved from London to Japan in the late 1980s and there are many fans in Japan. Japan is a special place in his heart. 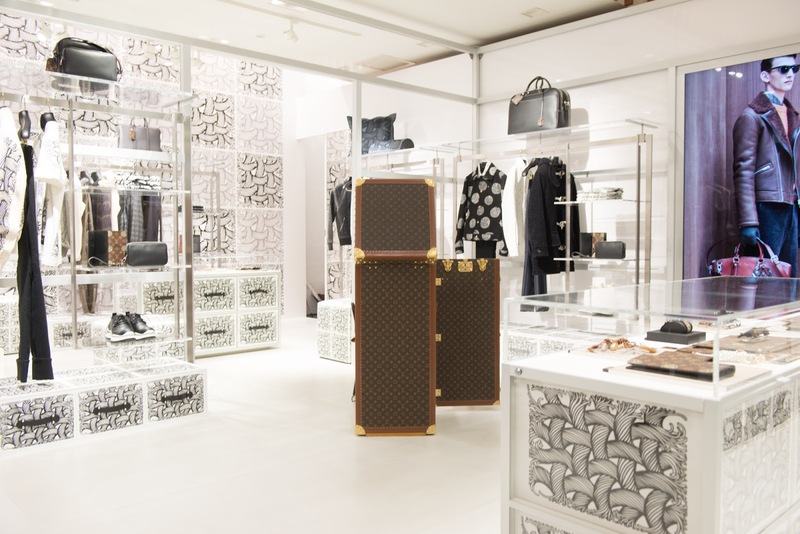 The Pop-Up shop, which boast an exterior of acrylic and aluminum, is designed in the image of Louis Vuitton’s iconic trunks. The interior of the store, which features floors that look like exposed concrete and white walls, is a sophisticated space that incorporates Nemeth’s simple and symbolic rope designs everywhere, as well as movie created by legendary photographer and friend of Nemeth’s, Mark Lebon. Designed under the direction of Kim Jones himself, the store invites visitors to fully experience the collection. September 9 2015 marks the first expansion of the historic Milanese café from its original home in 191 years. 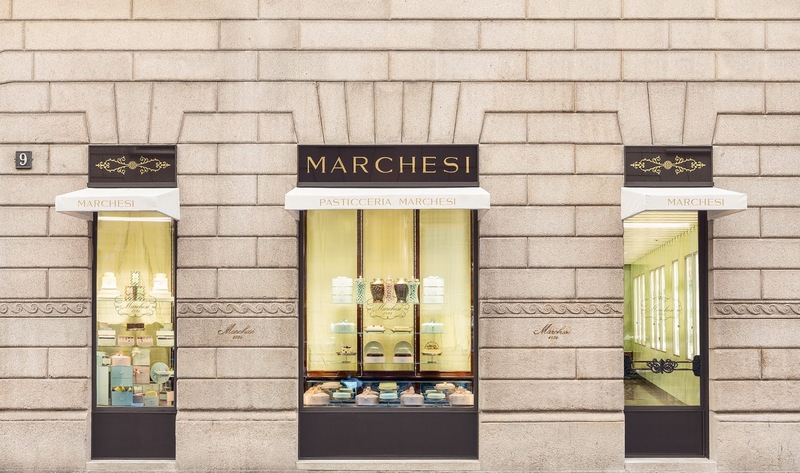 Founded in 1824 in via Santa Maria alla Porta, in the Corso Magenta neighborhood, Marchesi is one of the oldest and finest pastry shop in Milan and long revered as a symbol of excellence. 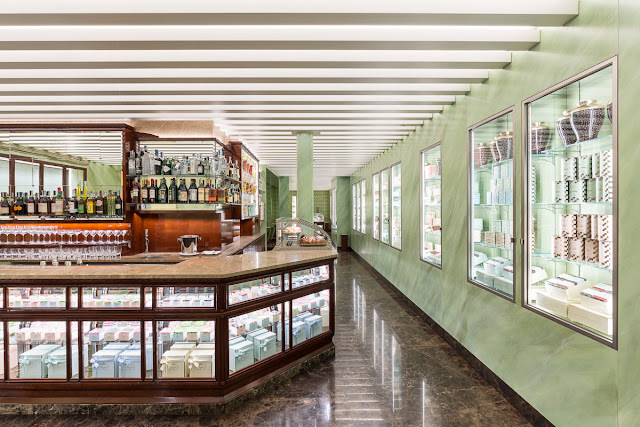 The new “Marchesi” remains resolutely faithful to its forebear in its traditional spirit and impeccable quality, now in a central, larger location, providing an expanded offering of its celebrated products. Designed by architect Roberto Baciocchi, the new shop respects the classic atmosphere and the age-old allure of Marchesi’s landmark site in Via Santa Maria alla Porta, 11/a. Spread across 120 square meters the space and its furniture are drawn with an air of refinement. From the street, the stone façade features an inlay of Marchesi’s classic gold leaf logo and white awnings over two glass windows filled with product that allow for unobstructed views into the bright space, recalling the atmosphere of Marchesi’s landmark site. 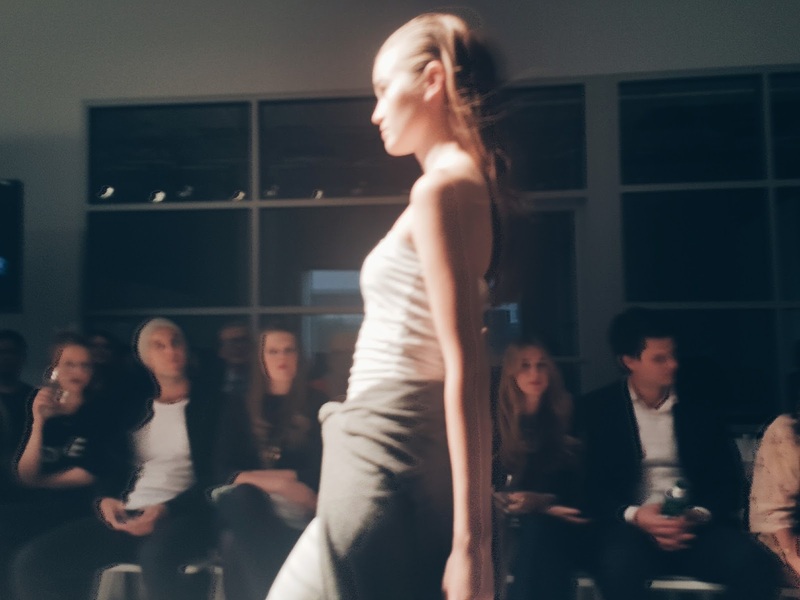 interpreted in a new, modern and refined ambient. 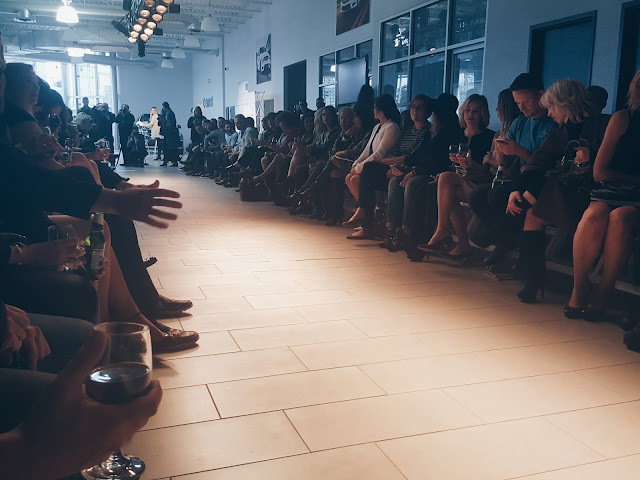 Dark brown marble covers the floors underfoot while the beamed ceilings, featuring a peculiar lighting system, create an elegant graphic effect. 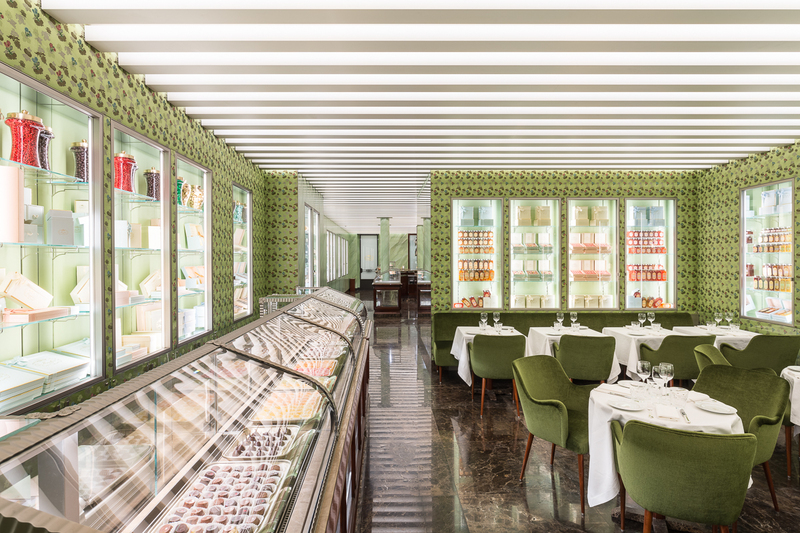 For nearly two centuries, Marchesi has excelled in the creation of fine pastries, inventive cakes, fluffy croissants and creatively-stamped chocolates. 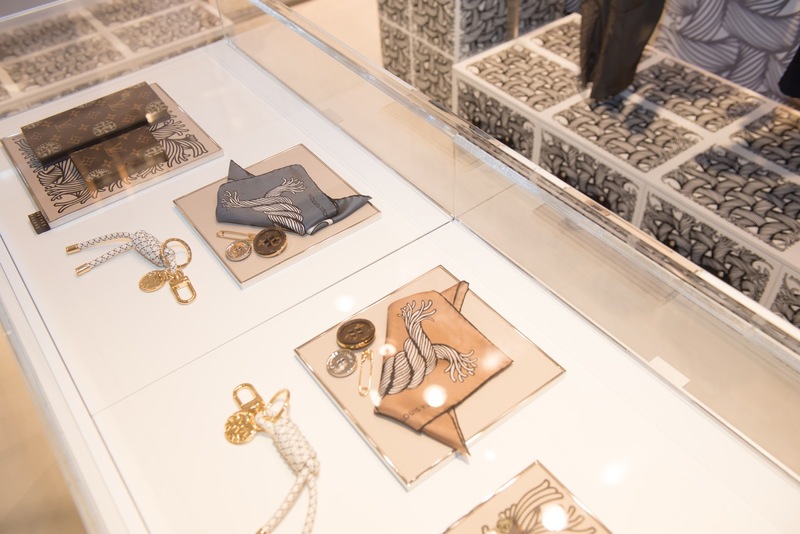 A full offering of these time-honored traditions – including several new products – have now been brought to life inside the new shop. 38 light-filled niches with clear crystal shelves, and cherry wood counters allow Marchesi’s famous sweets to wrap around visitors like an opulent pastel coloured candy box. A decadent variety of sugar coated candies, bon-bons, chocolates, pralines and cakes, are presented in a new designed packaging, featuring a luxurious collection of products specially developed for the new café. 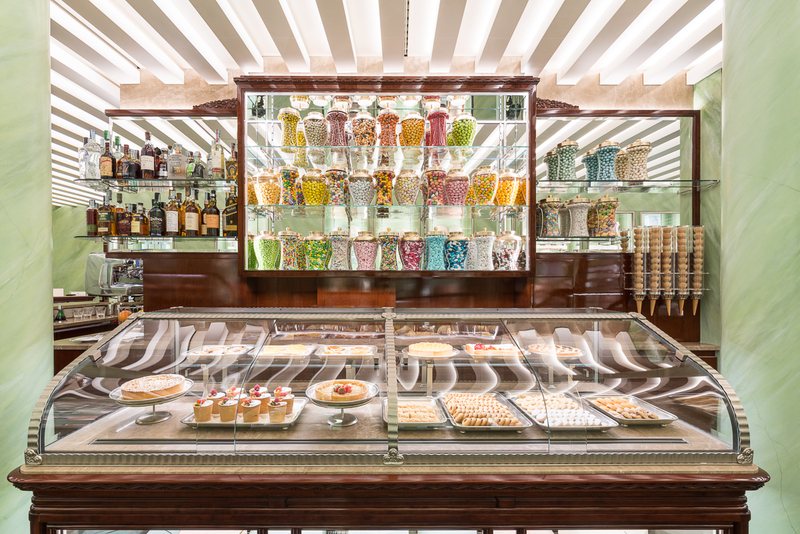 All pastries are freshly baked daily on the premises, just like the original shop, to allow for the same high quality for which Marchesi is known. 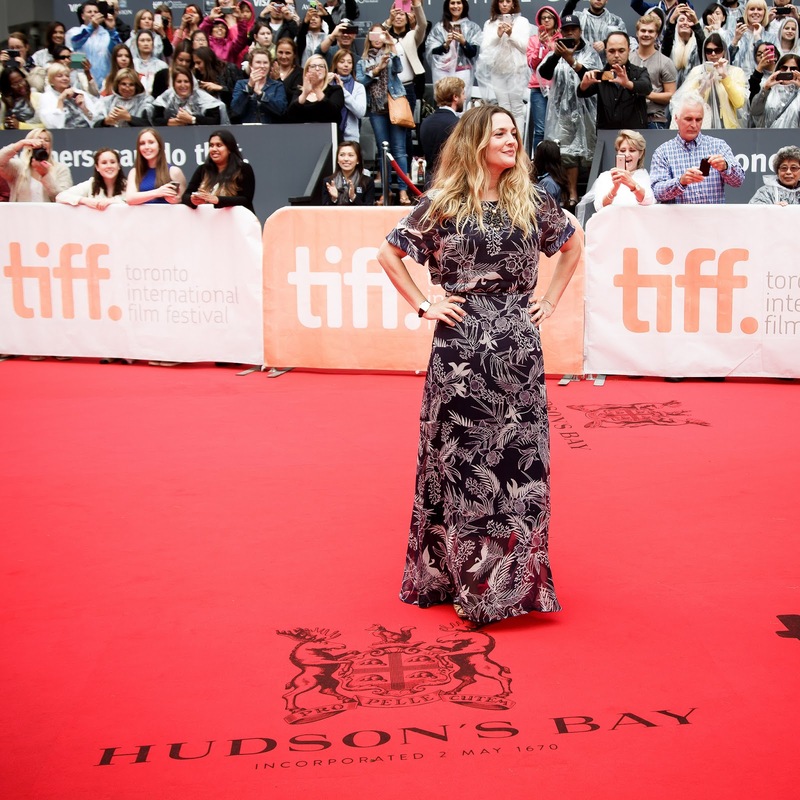 Hudson’s Bay returns for its fifth year as the Official Fashion Retailer and as an Official Red Carpet Sponsor for the 40th Toronto International Film Festival. 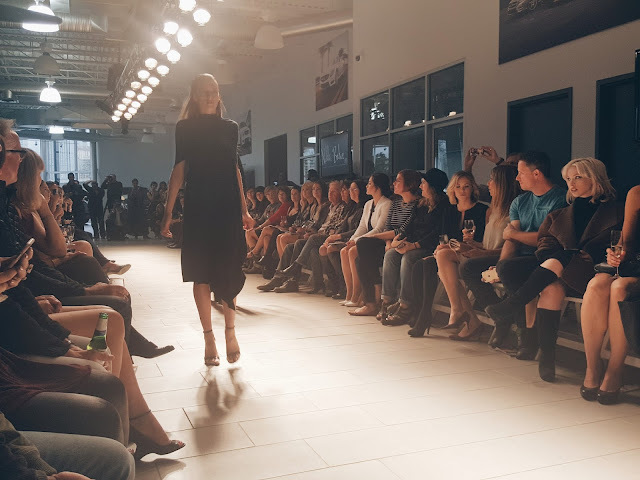 As an Official Red Carpet Sponsor, “Stars on Stripes” will reveal the hottest red carpet looks as talent walk the Hudson’s Bay carpets at this year’s Festival. 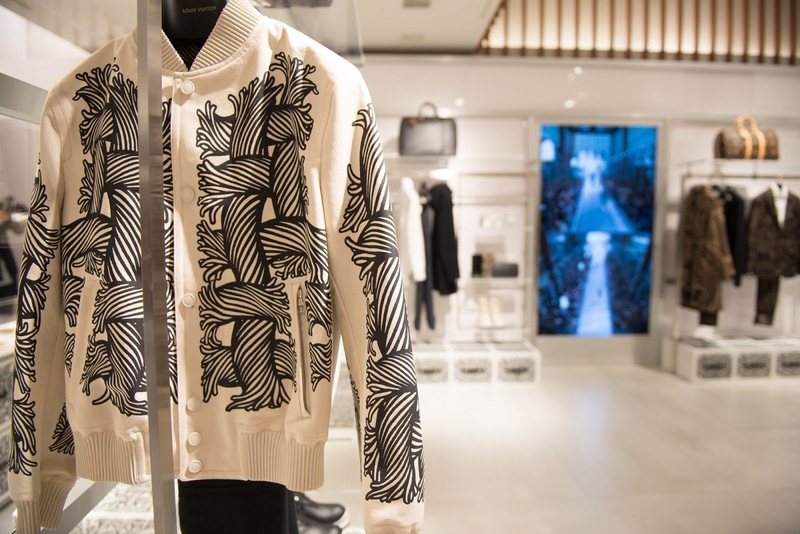 Hudson’s Bay will also have 25 interactive promotional ‘shoefie’ carpets set up around Toronto and in store at Hudson’s Bay Queen, Yorkdale and Sherway Gardens locations, as part of its “Stars on Stripes” initiative. Festival-goers are invited to take a ‘shoefie’ of themselves on one of the HBC promotional carpets. If they choose to post their “shoefies” to Twitter or Instagram, tagging #starsonstripes and @hudsonsbay, they’ll be given a chance to win a VIP shopping experience and tickets to a closing night TIFF film. 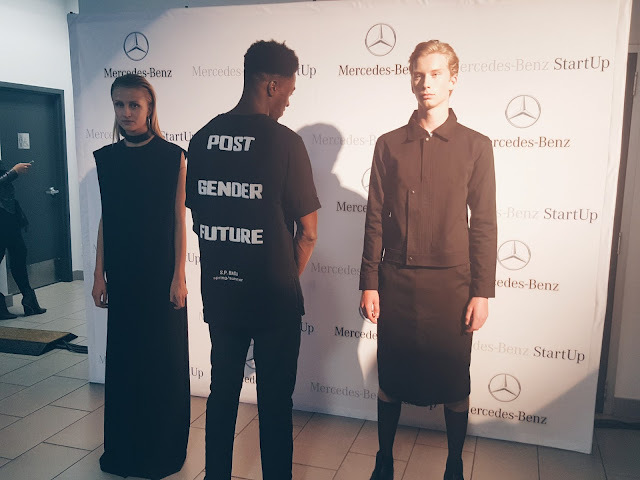 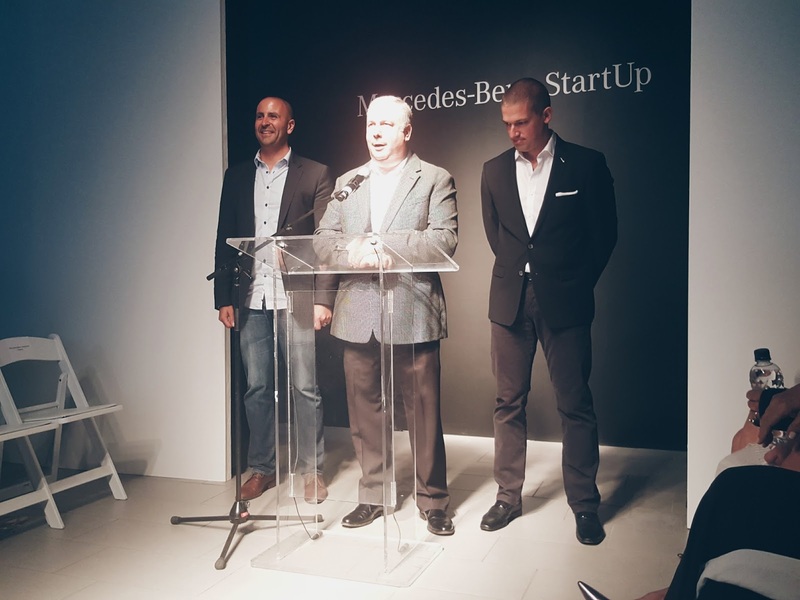 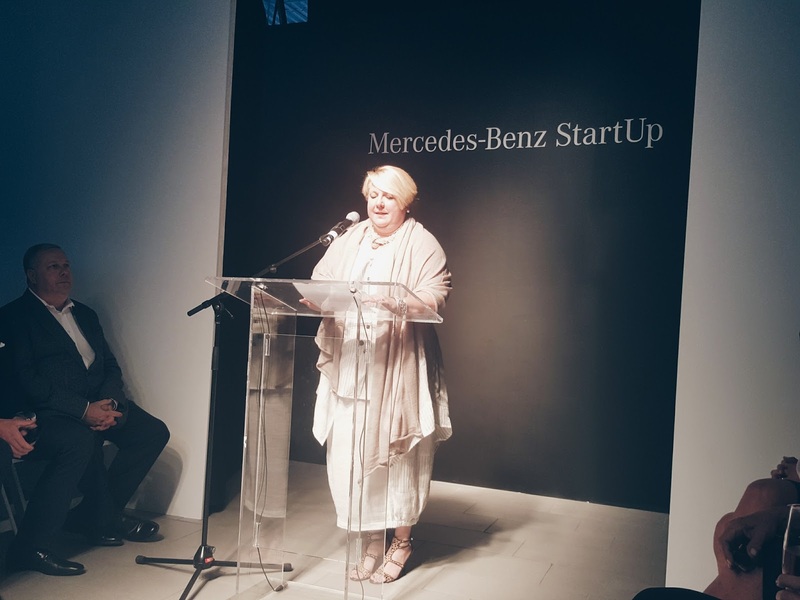 Mercedes-Benz Start Up MBSU, Canada’s premier program for emerging fashion designers is proud to announce cycle 2015-2016's three wildcard designers; Leinad Beaudet, Narces and Laura Siegel will join regional finalists UNTTLD, Beaufille and S.P.Badu at World MasterCard Fashion Week in October 2015. 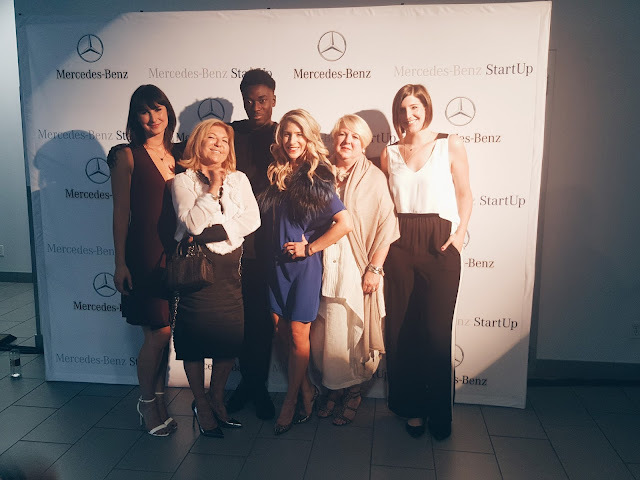 This year's judging panel which includes, Robin Kay, President at Fashion Design Council of Canada, Carolyn Quinn, Director at IMG Fashion, Kara Chomistek, President at PARK, Caroline Gault, Alberta editor at FASHION Magazine, Jacquelyn Francis, Montreal Executive Editor at FASHION Magazine, Caitlan Moneta, Toronto fashion Market Editor at FASHION Magazine, JoAnne Caza, Director of Communications and Public Relations at Mercedes-Benz Canada and Olga Koel, Fashion Industry Consultant. 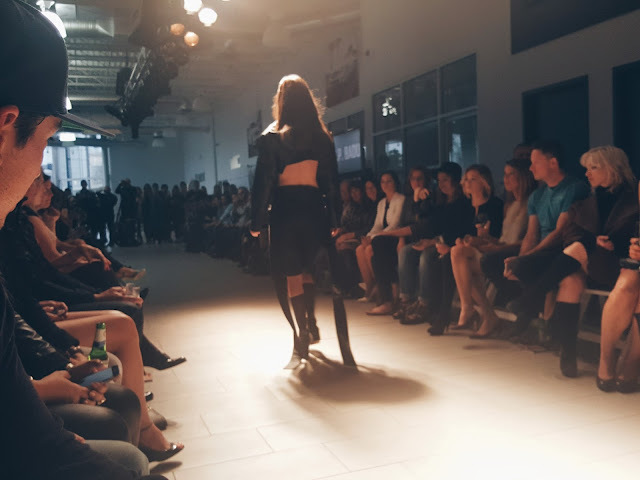 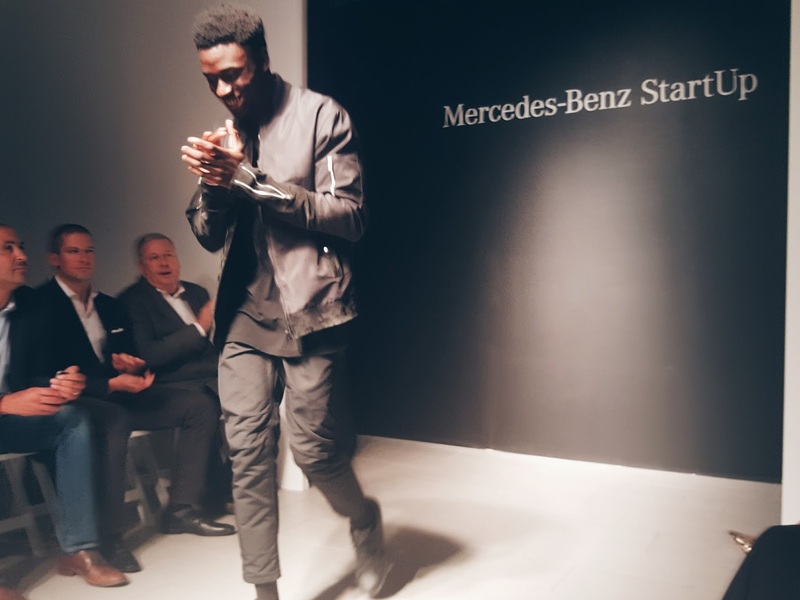 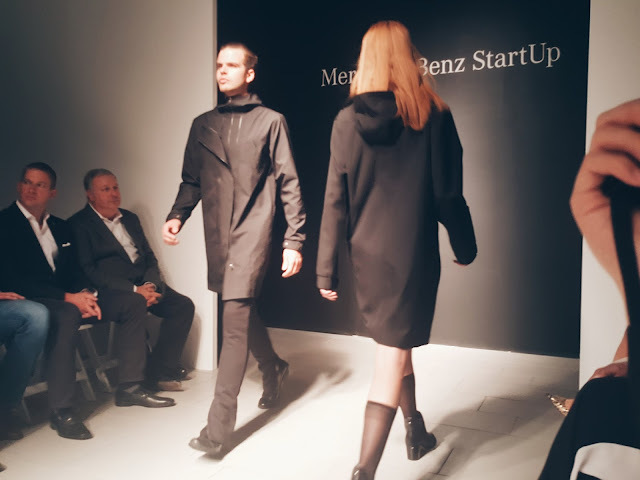 Calgary semi-finalist, House of Nonie, Nikki Babie, KAZZ Clothing, S.P.Badu and Aniimiism presented their collection during MBSU Calgary 2015. 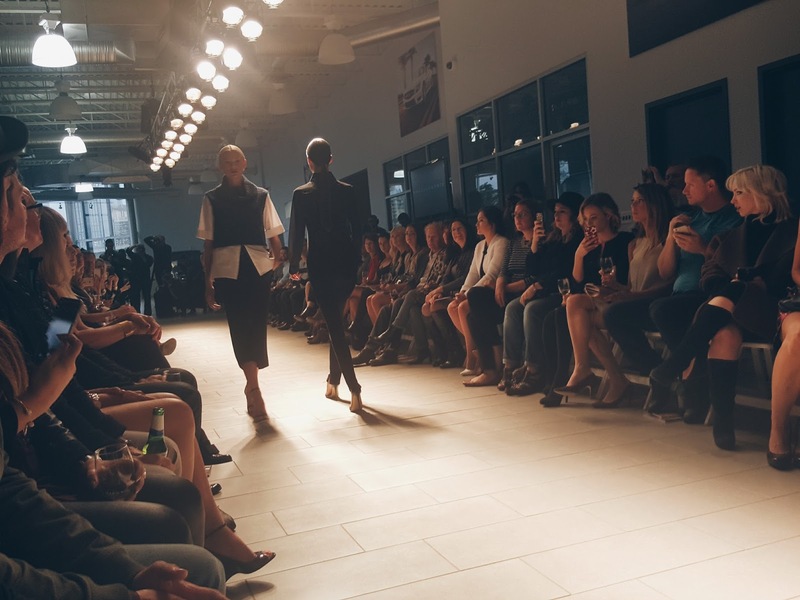 They have shown the ability and talent of Canadian designers. 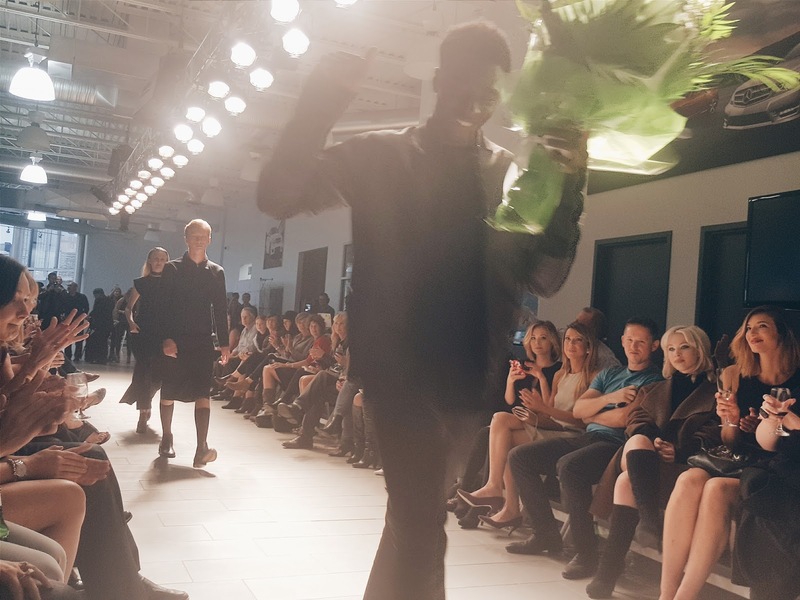 Winner Calgary-based designer win S.P.Badu along with other finalists will participate in a group finale runway show where judges will choose one Awarded Designer. 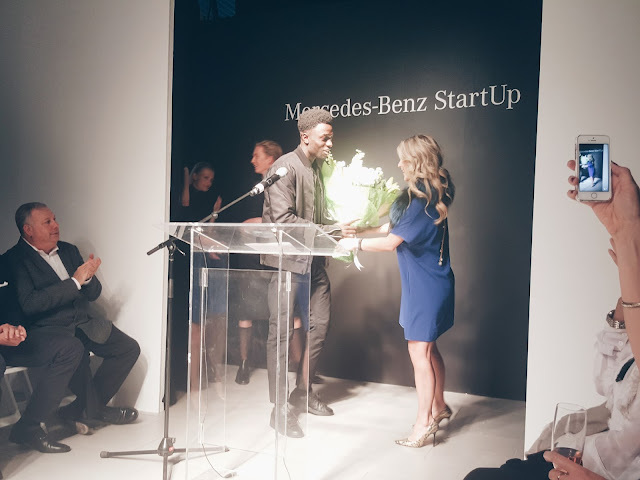 The Awarded Designer will then receive year-round intensive mentoring from the panel of experts, an editorial feature in FASHION Magazine, a fully produced solo runway show at World MasterCard Fashion Week Fall/Winter 2016 in March 2016, and a $30,000 bursary.